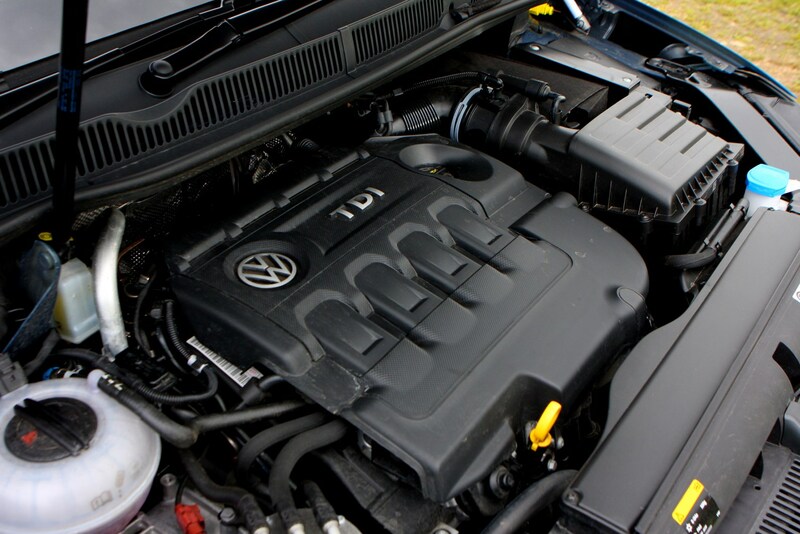 Insurance group: 9 - 21 How much is it to insure? 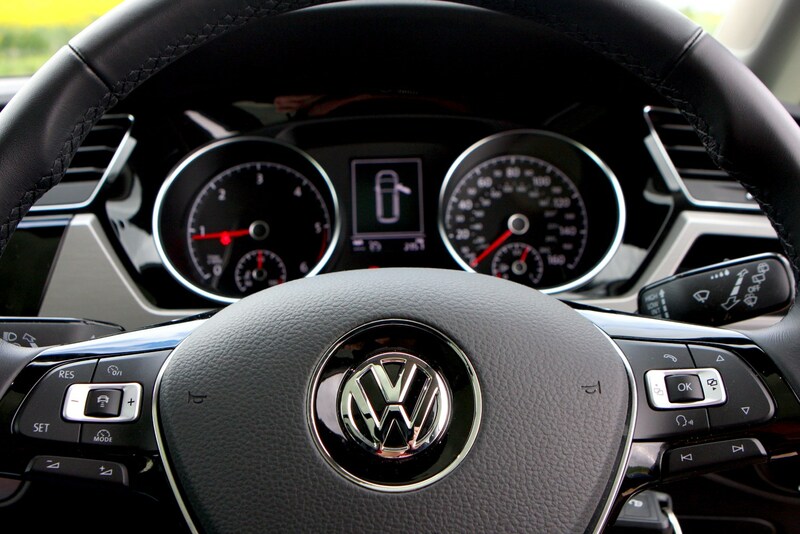 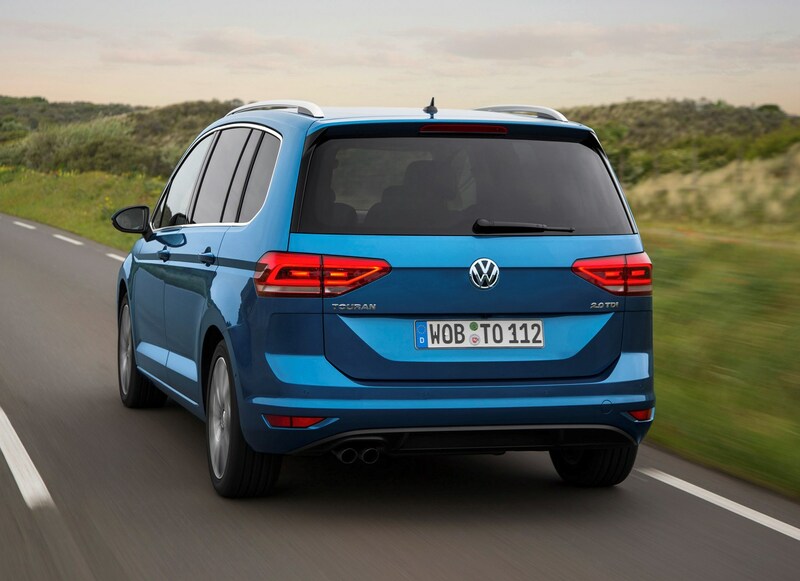 Historically, the Volkswagen Touran MPV has been a huge success story for the German company, with over 1.9 million having found homes worldwide. 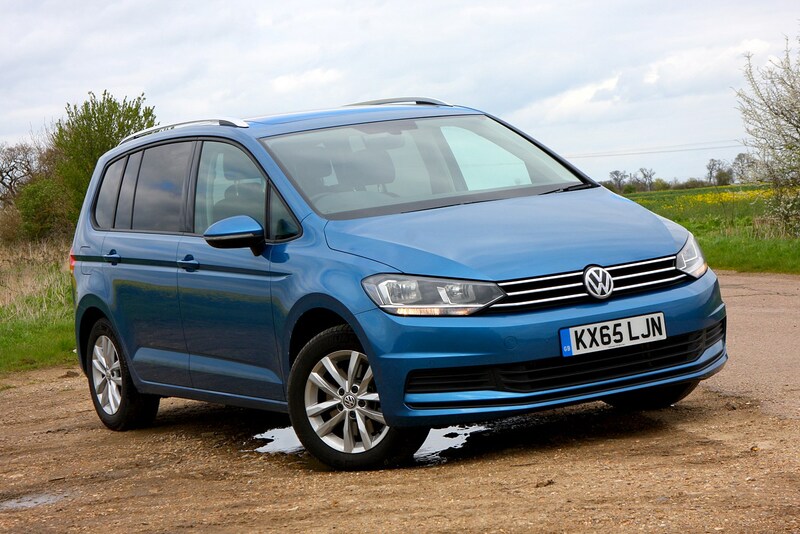 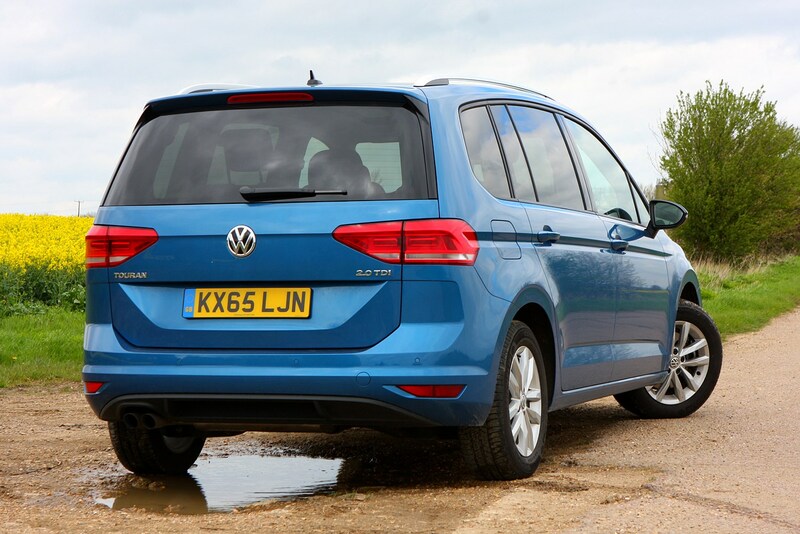 But as the popularity of SUVs continues to gain momentum, MPV sales have taken a hit, despite this latest-generation Touran being among our favourite cars of this type. 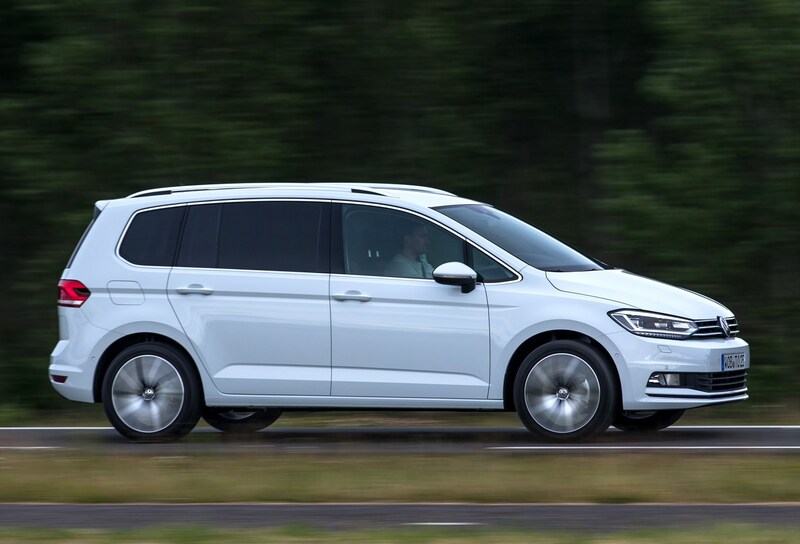 Its competition is becoming rarer by the minute, but includes the Citroen Grand C4 Picasso, Ford Grand C-Max and Vauxhall Zafira Tourer. 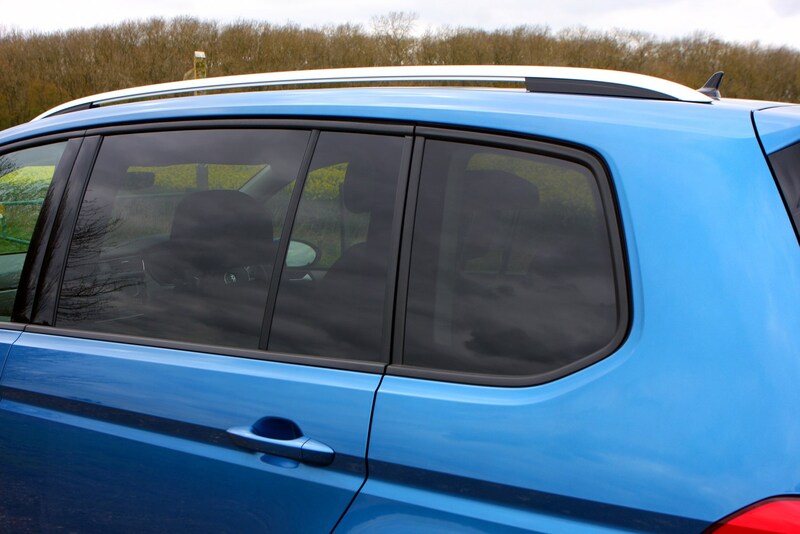 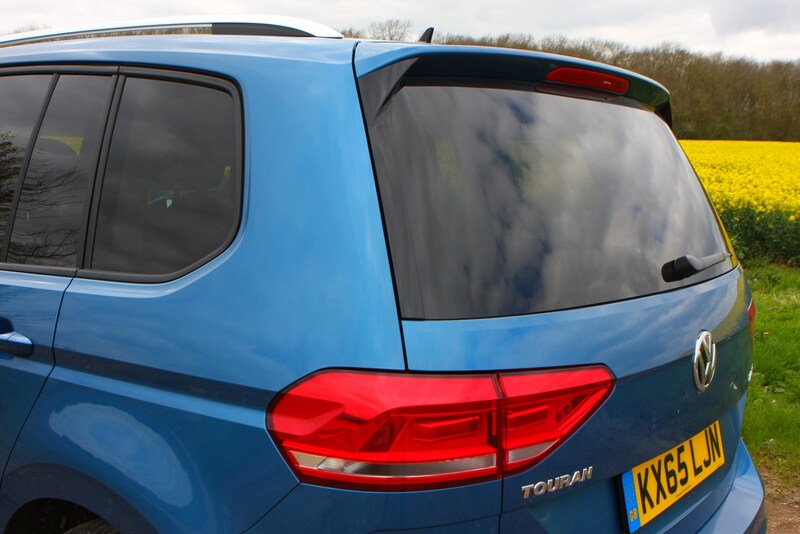 This generation of Touran is larger, lighter, more efficient and loaded with more kit than ever before. 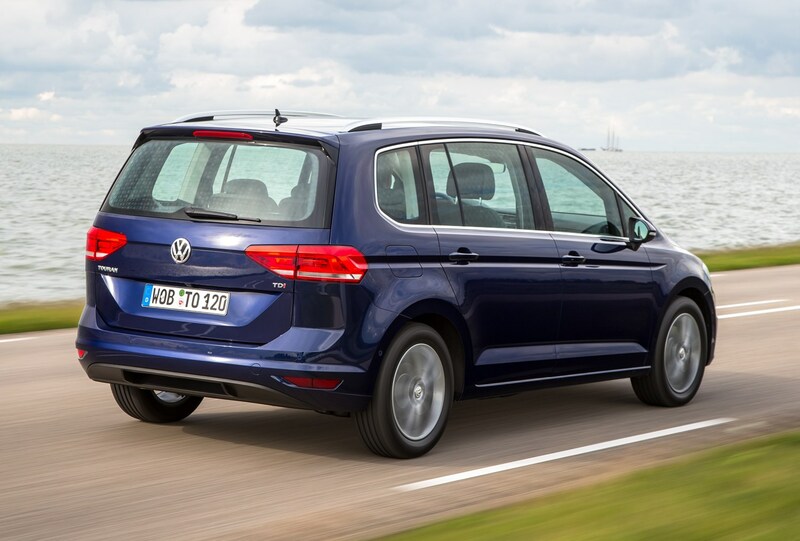 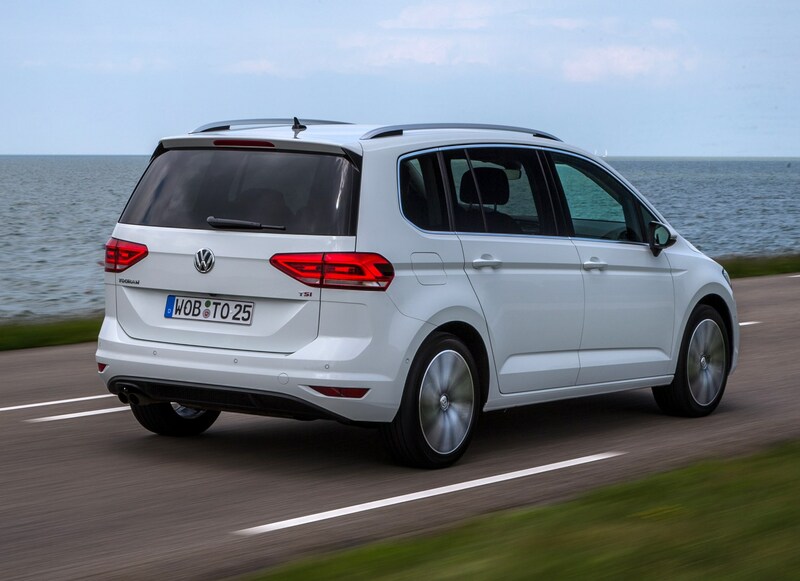 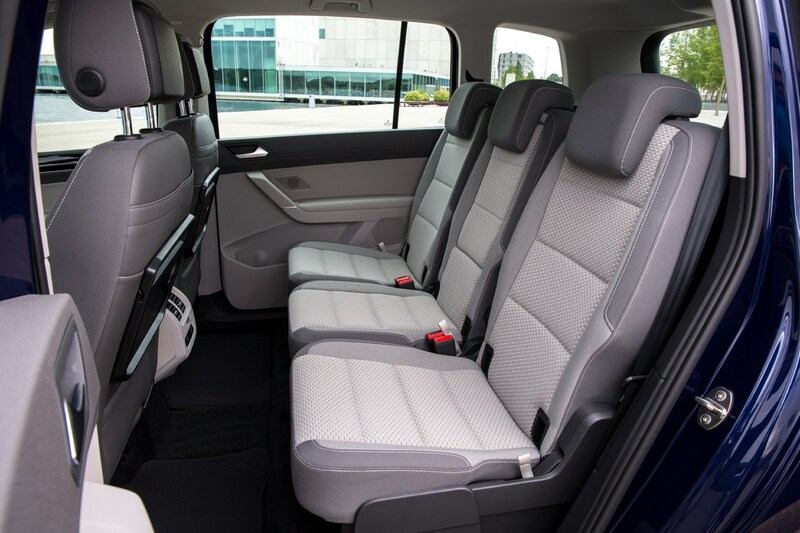 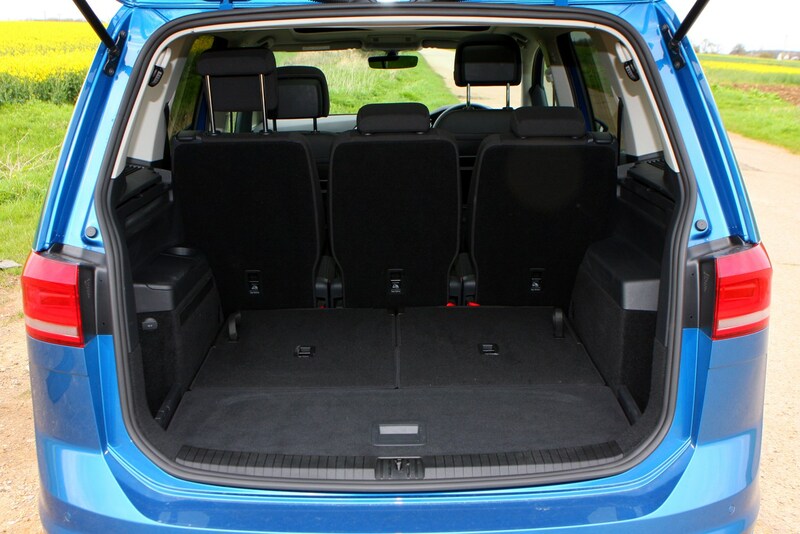 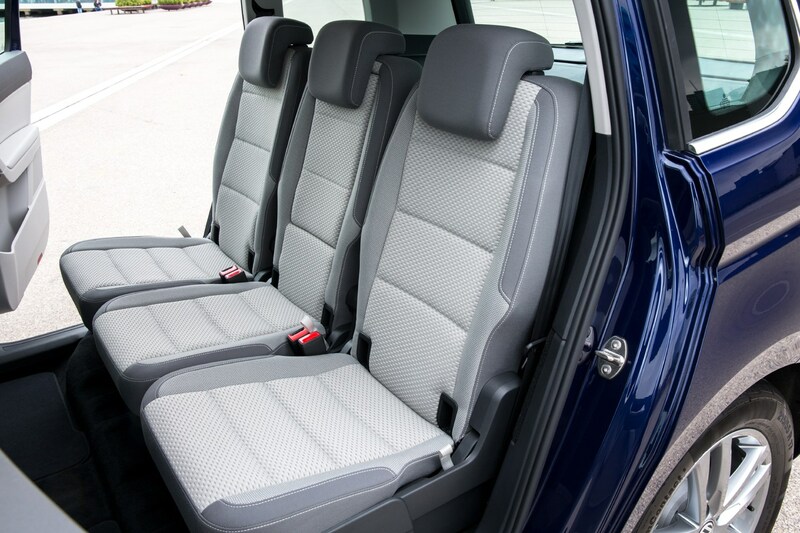 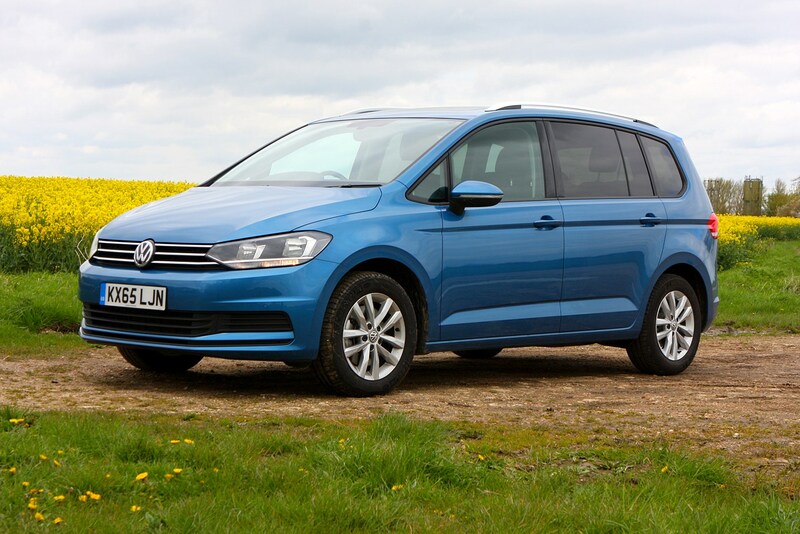 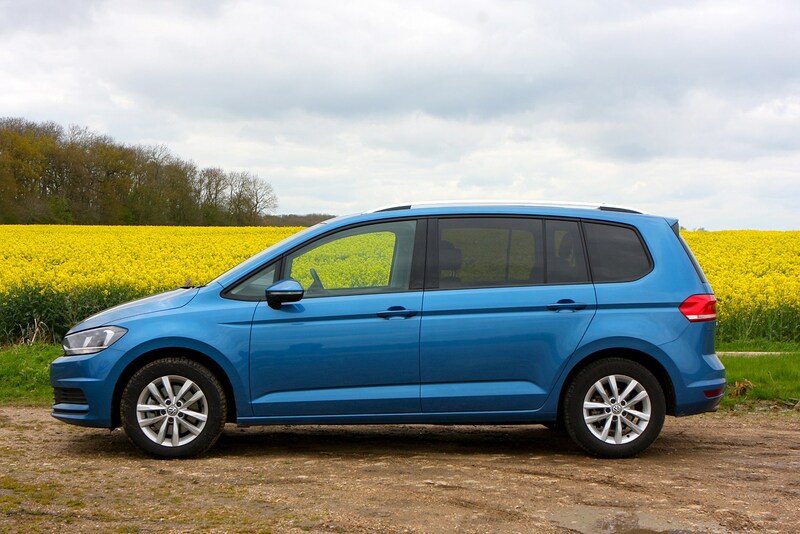 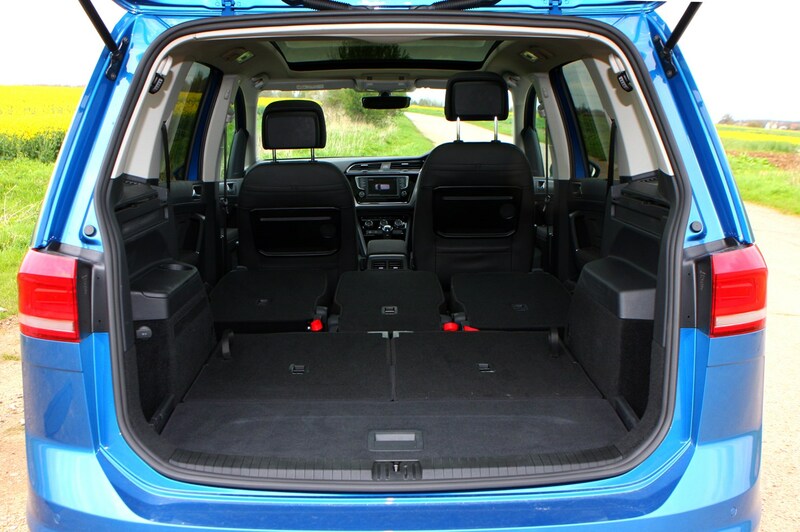 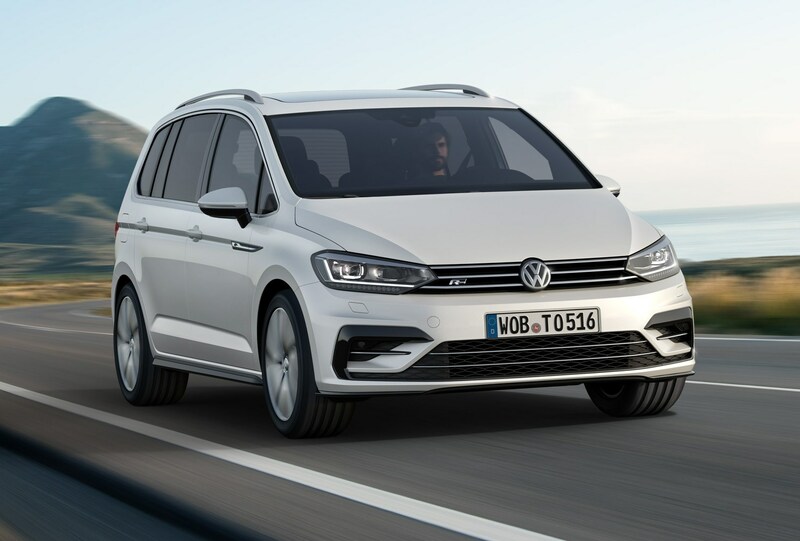 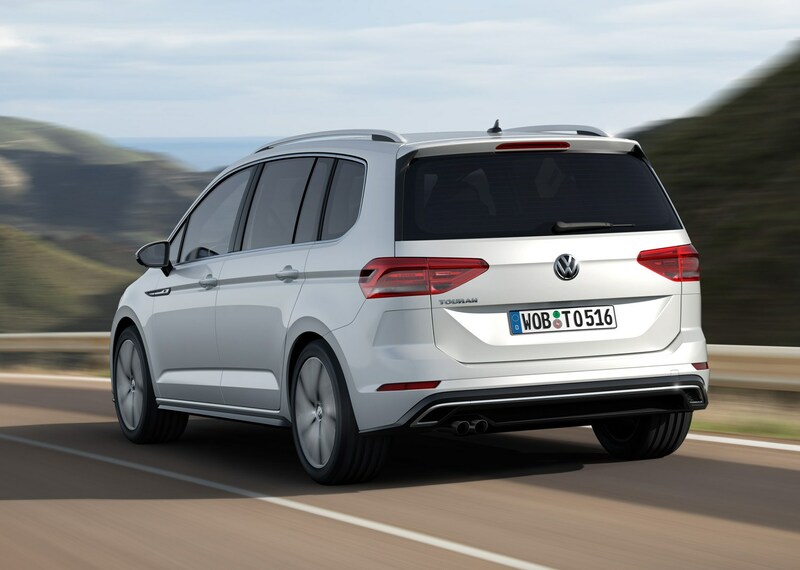 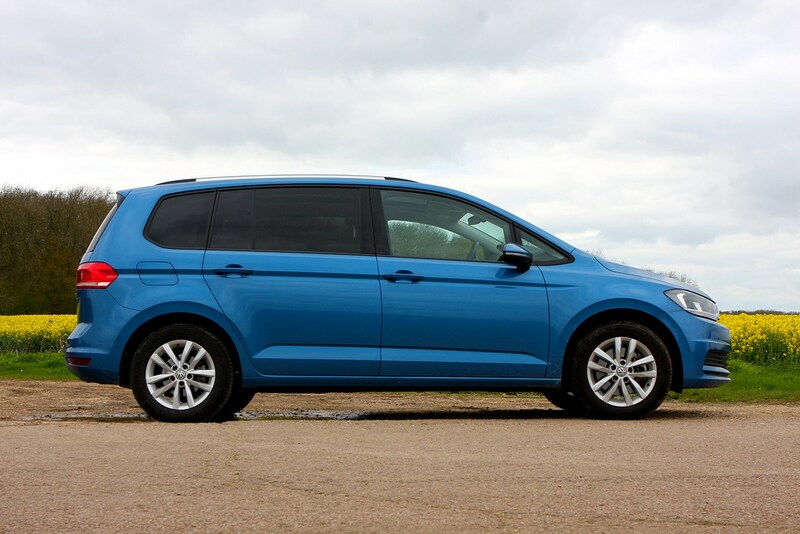 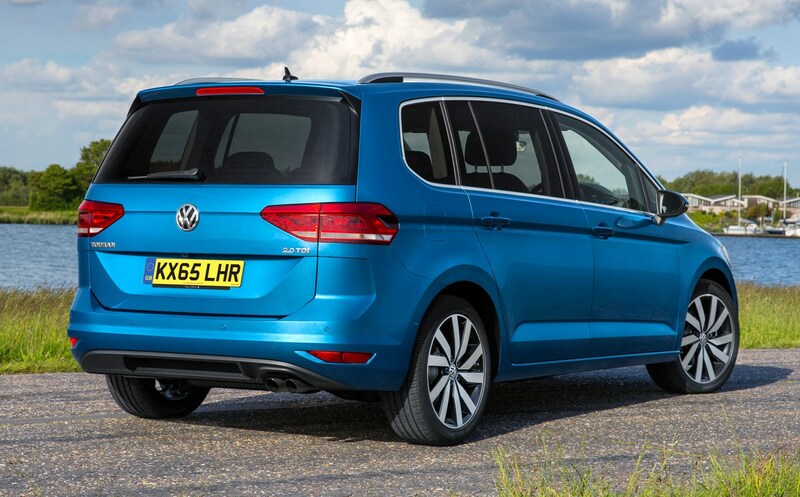 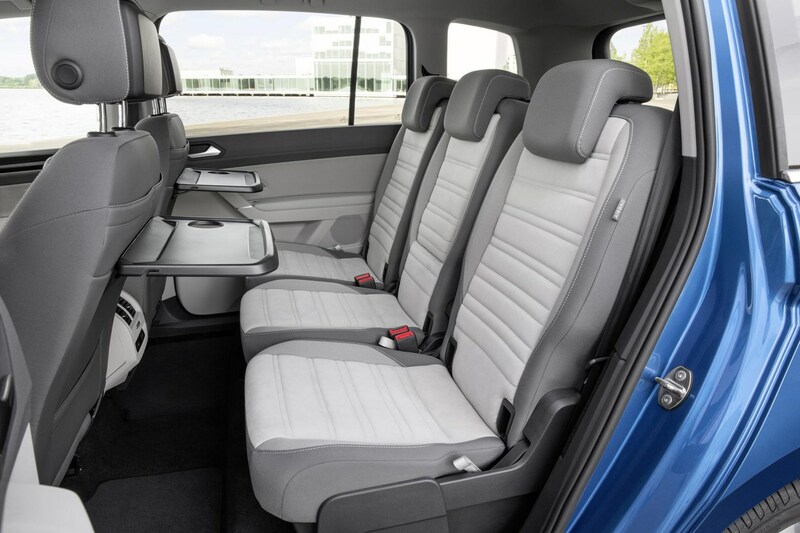 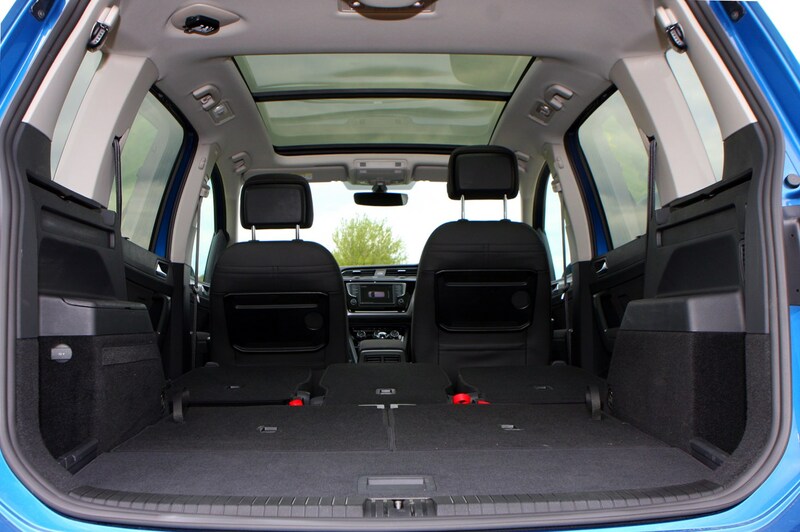 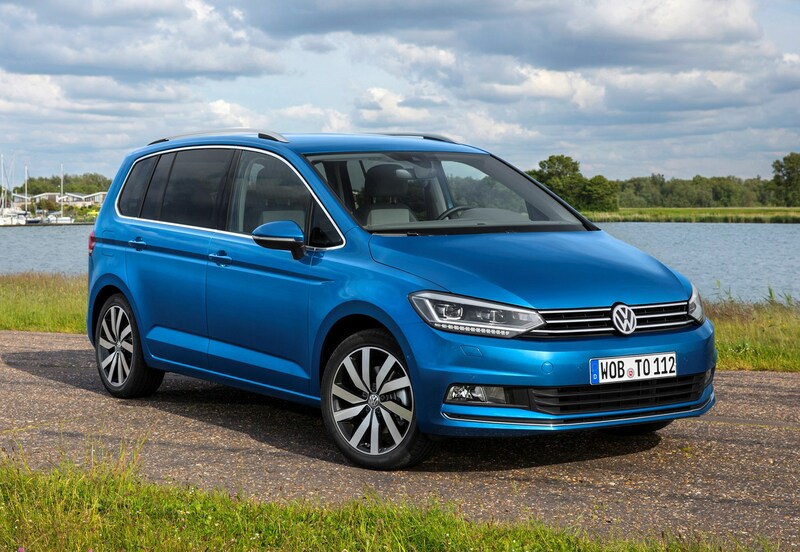 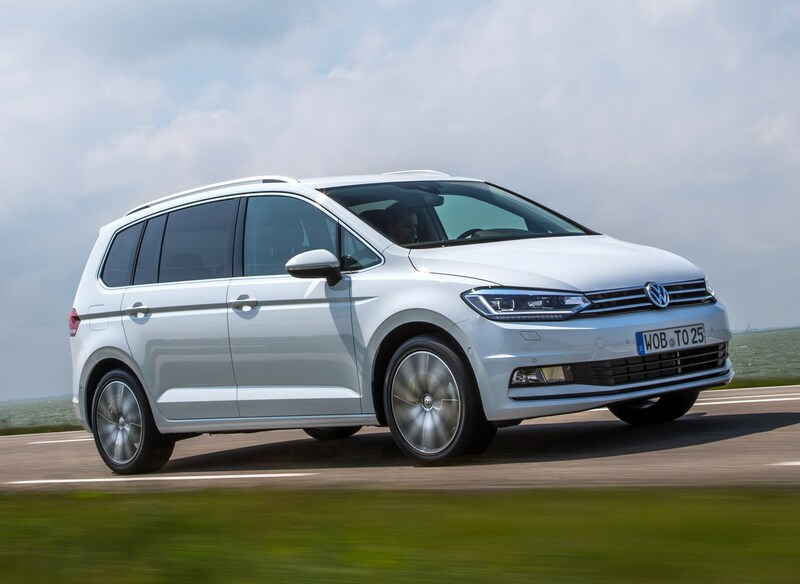 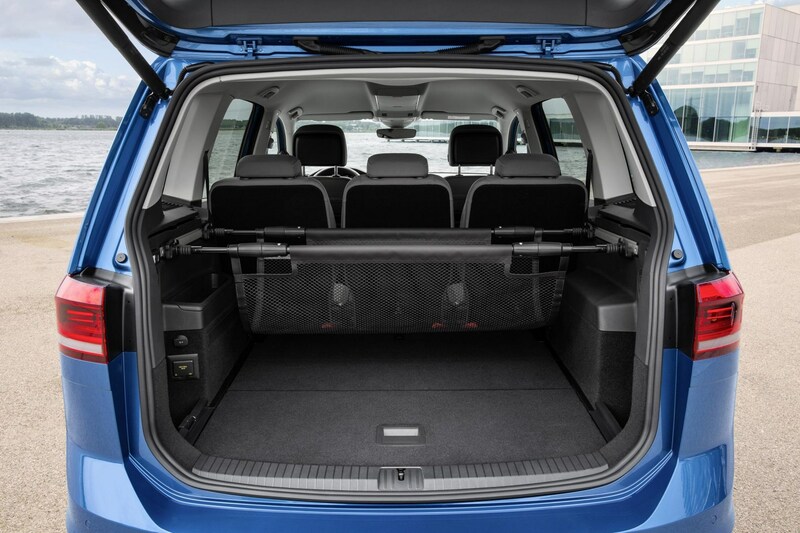 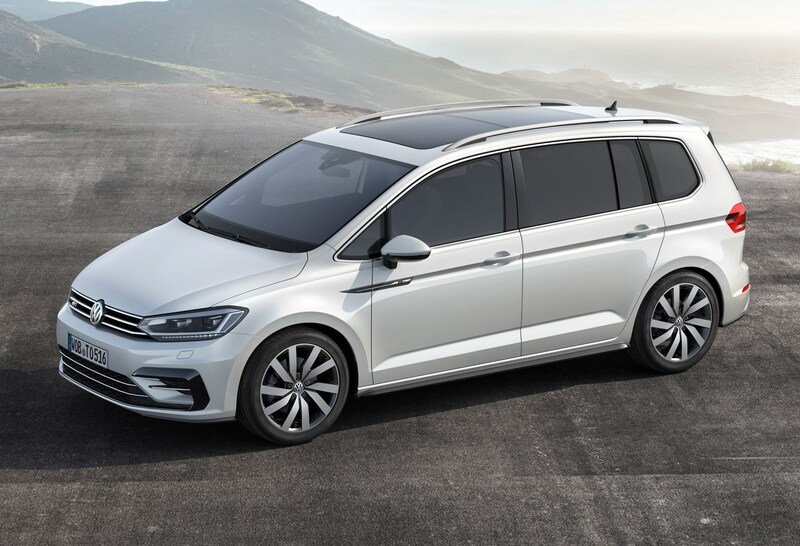 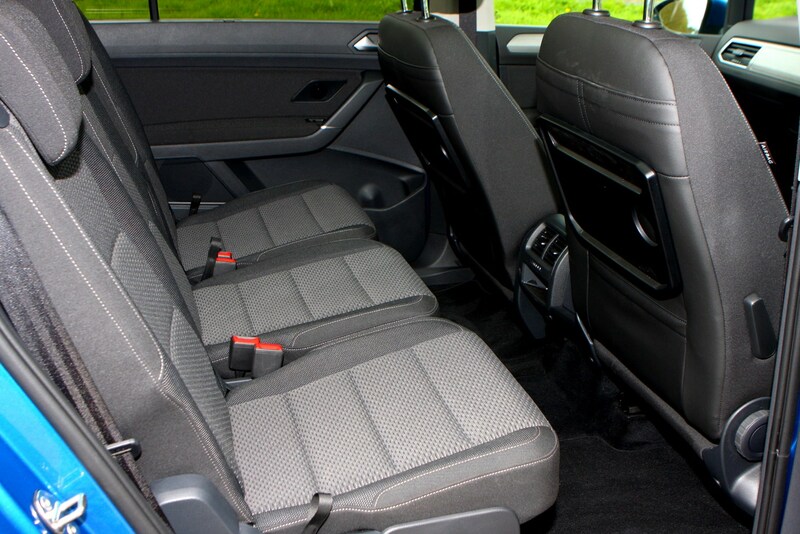 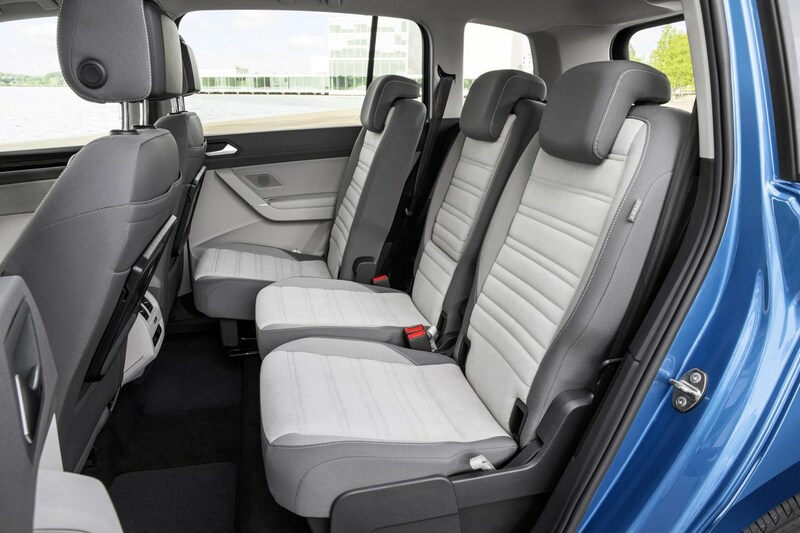 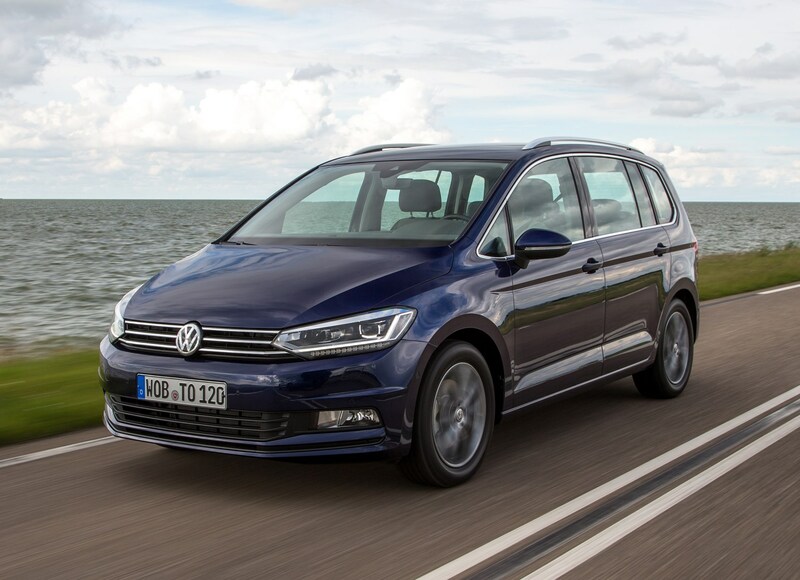 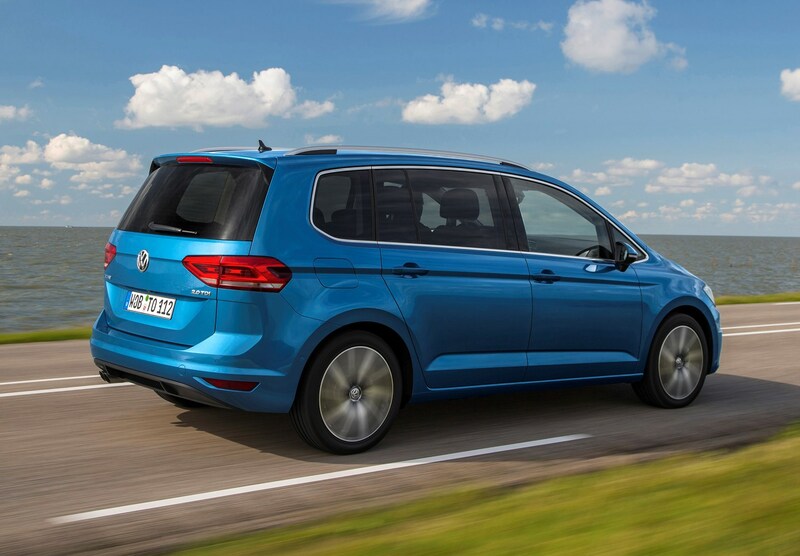 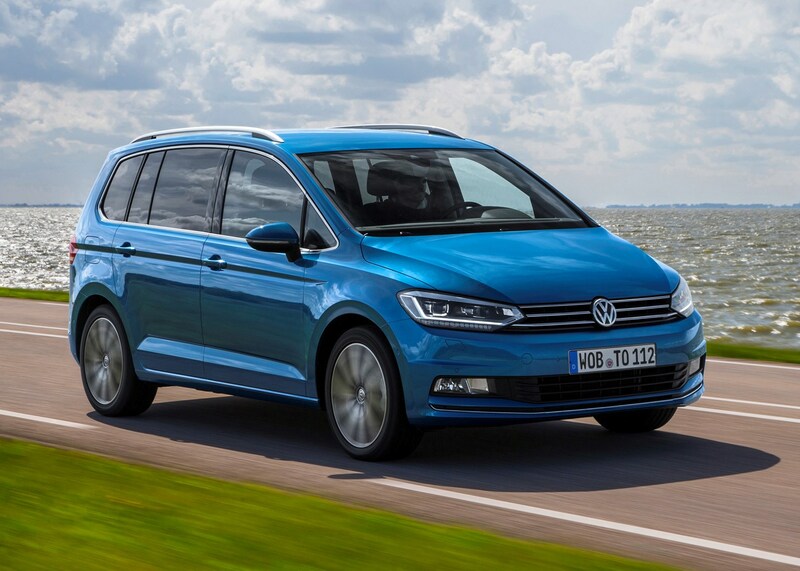 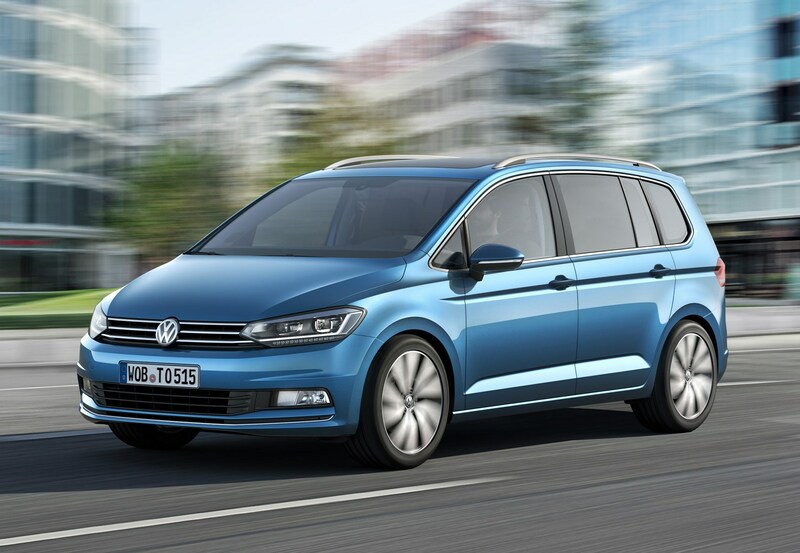 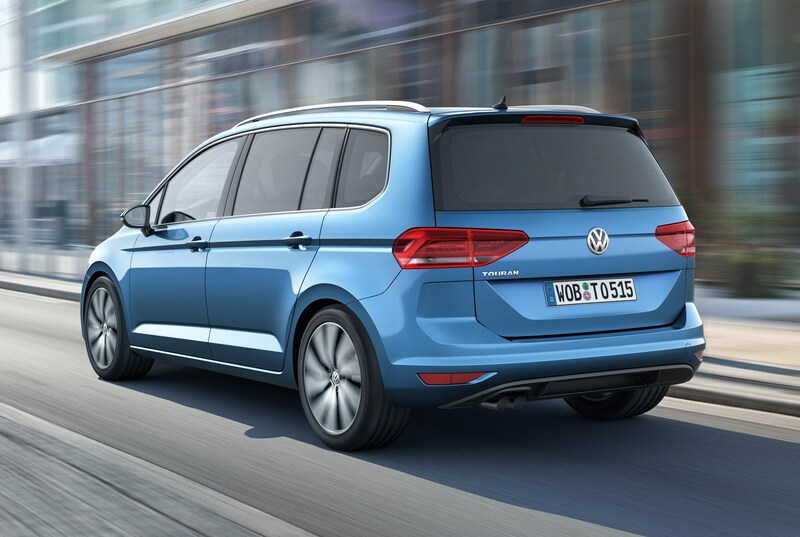 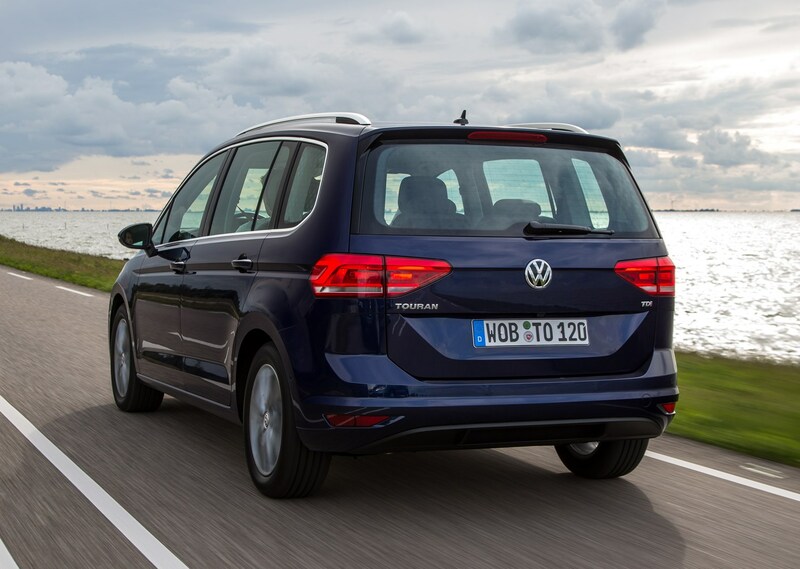 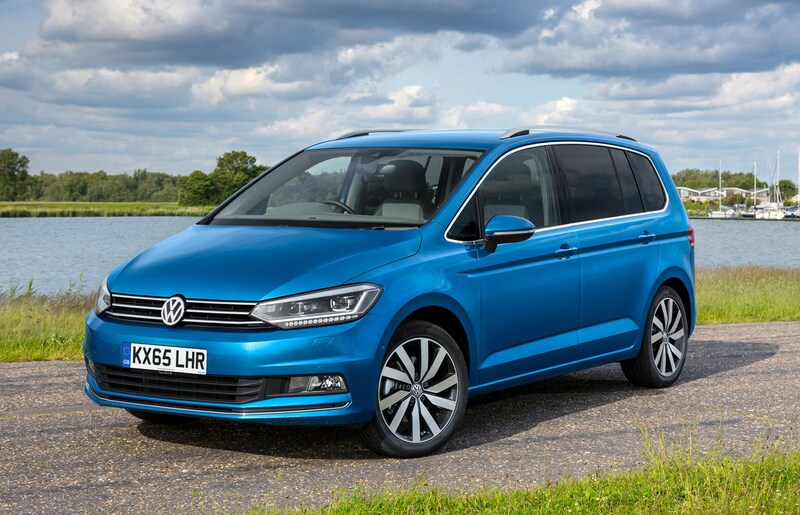 Very much geared to family life, the Touran comes with seven seats as standard and, thanks to a growth spurt over the previous version, offers more space inside with more luggage capacity too. 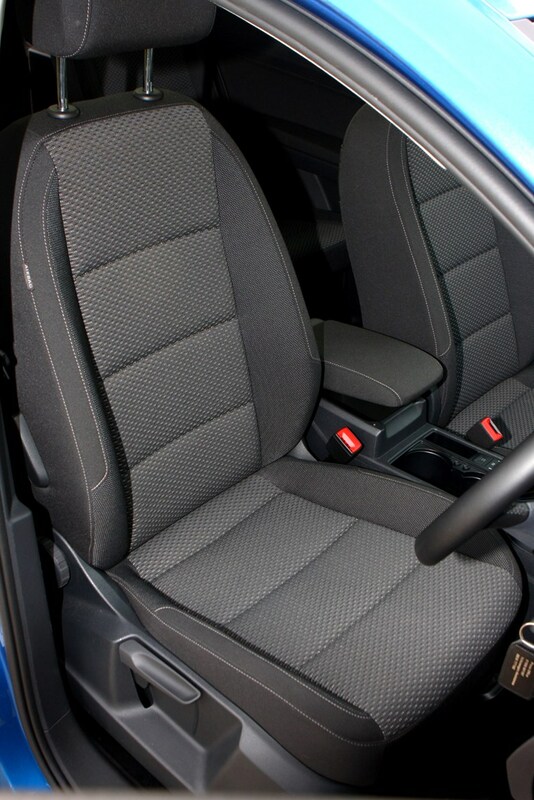 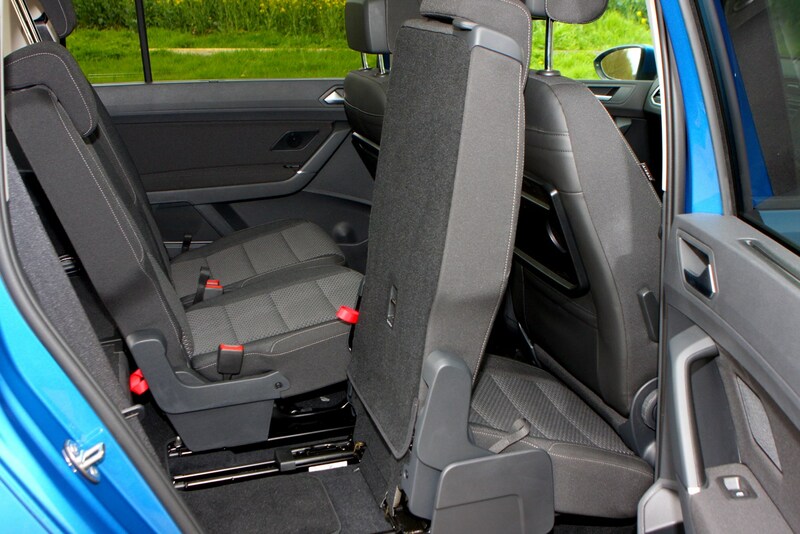 The second and third rows and the front passenger backrest can be collapsed to create a flat floor without having to remove the seats, making for one very long load-through space. 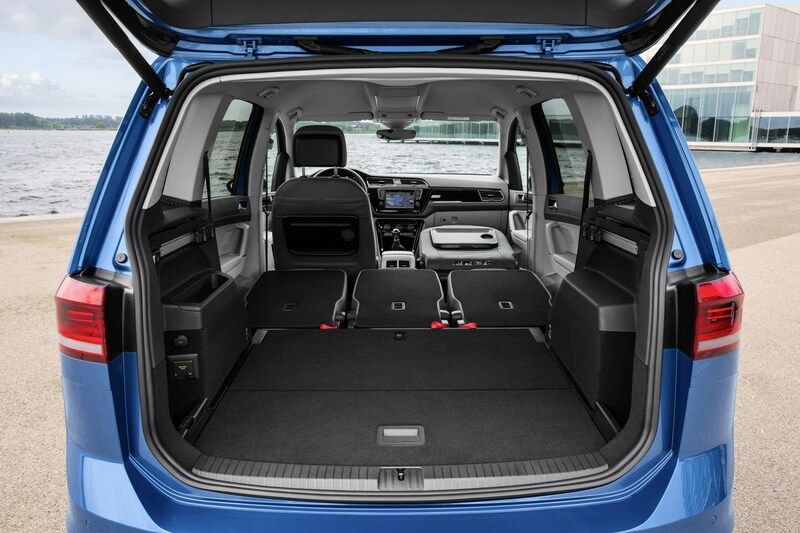 With five seats in place there’s up to 917 litres of boot room on offer, and this grows to a van-like 1,857 litres when both rear seat rows are folded flat. 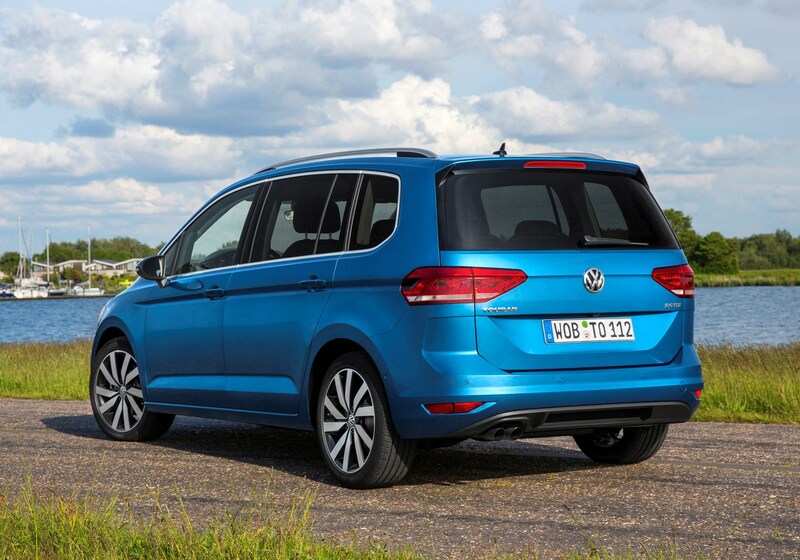 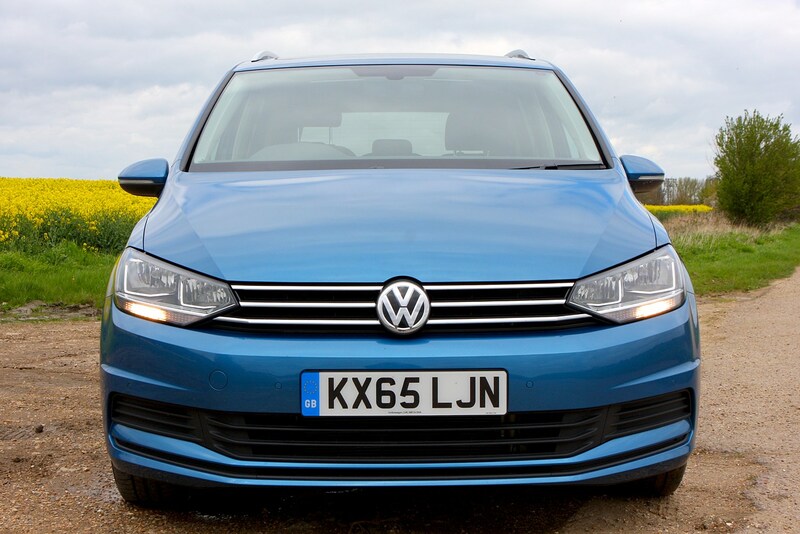 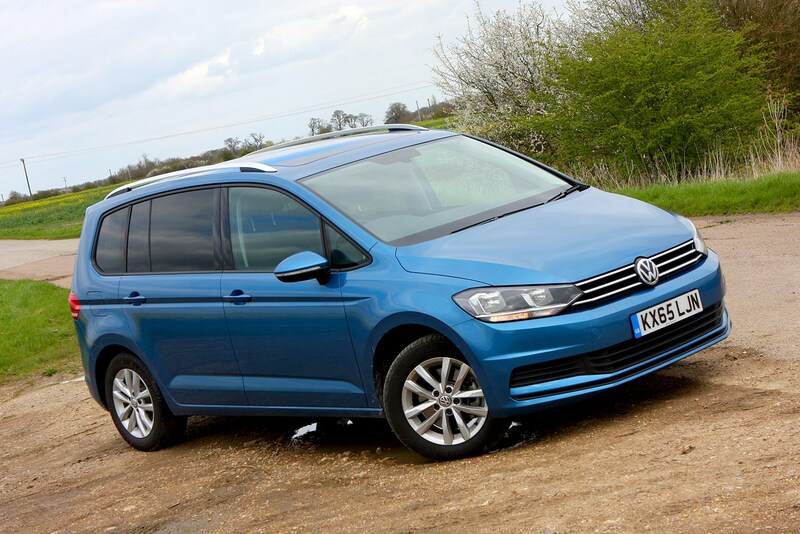 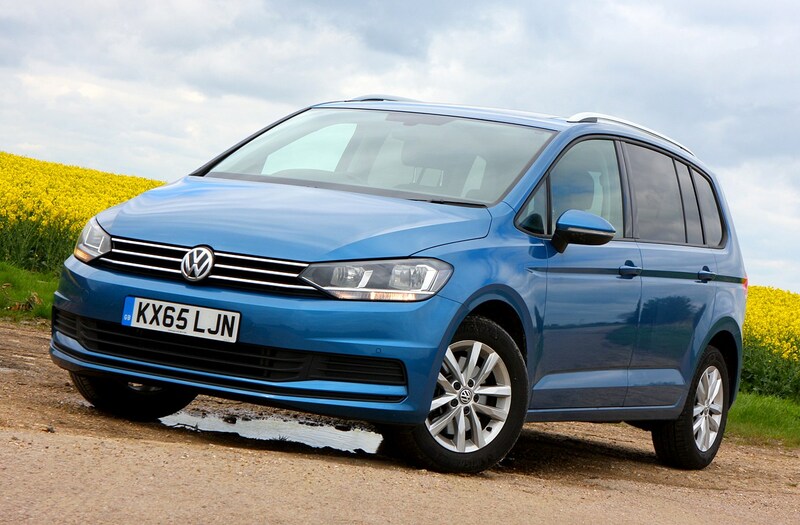 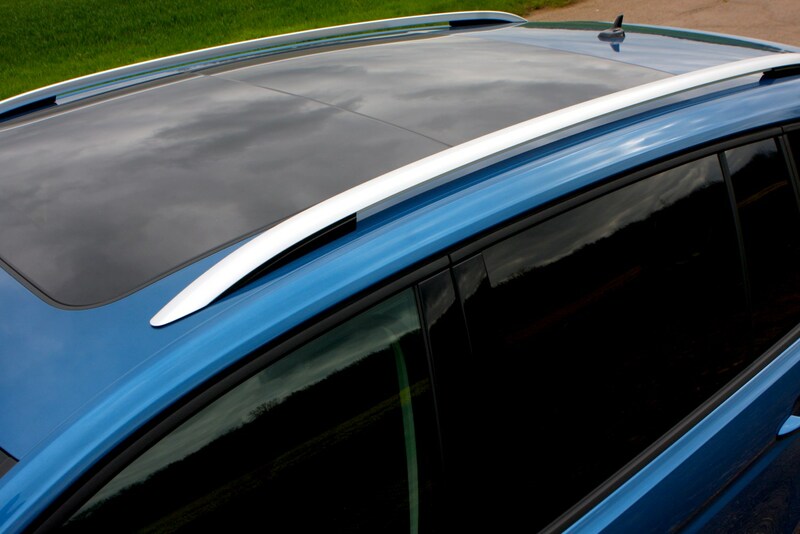 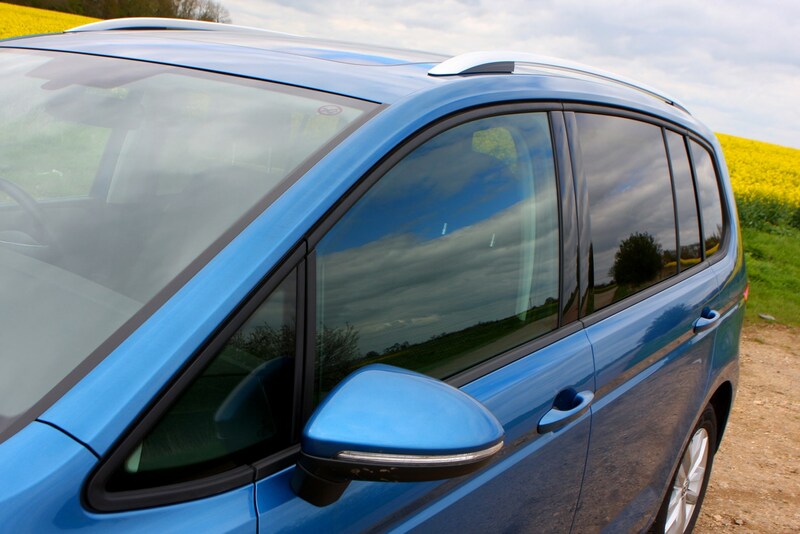 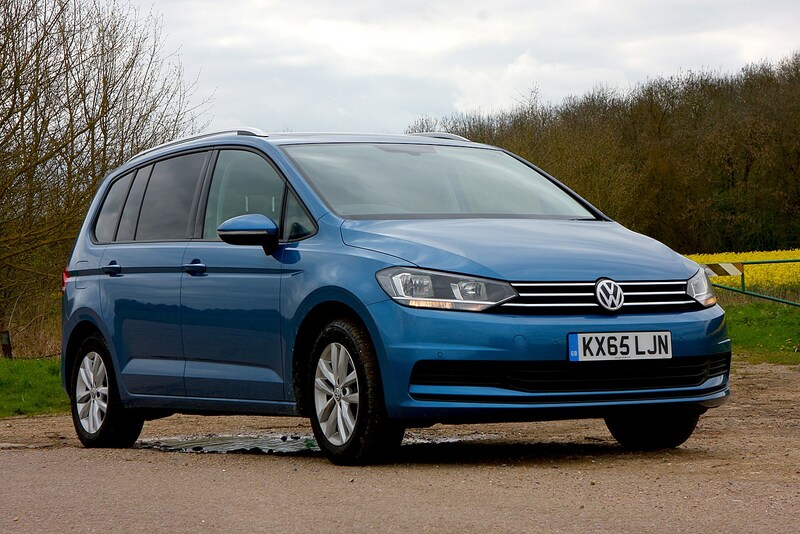 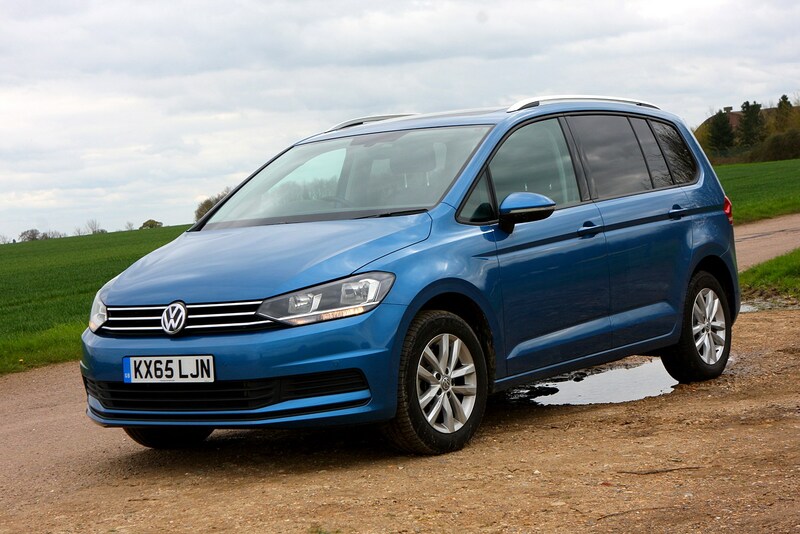 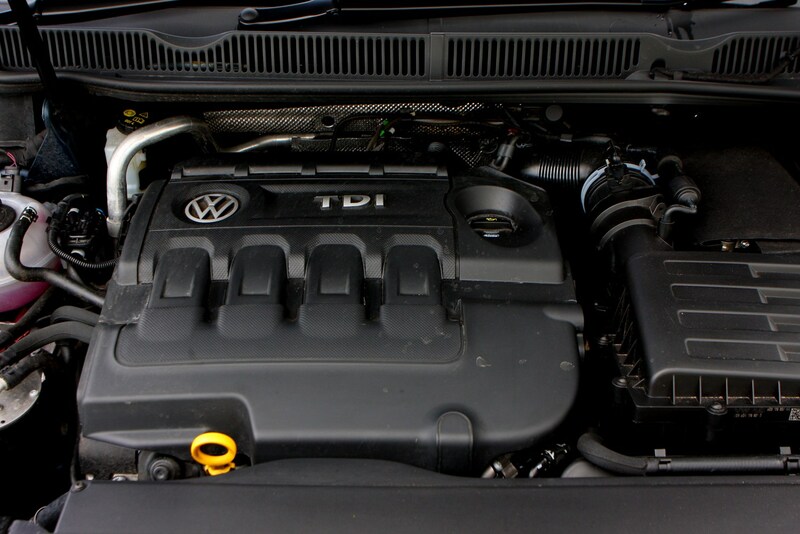 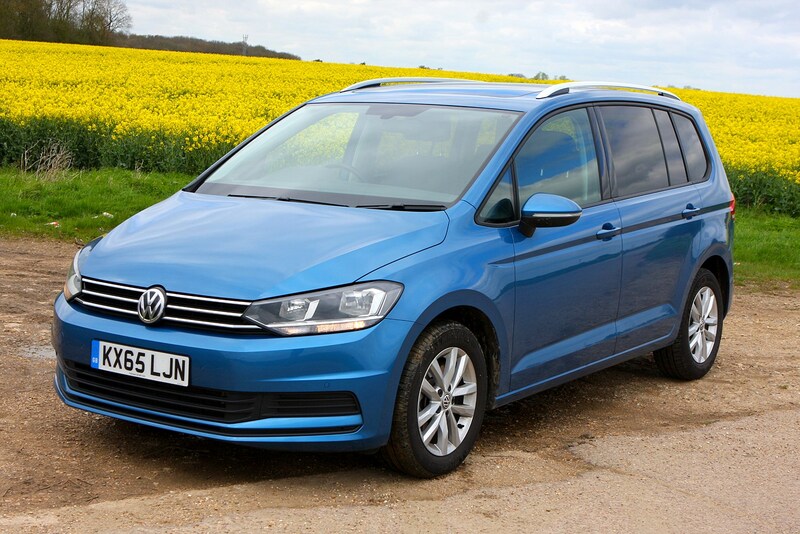 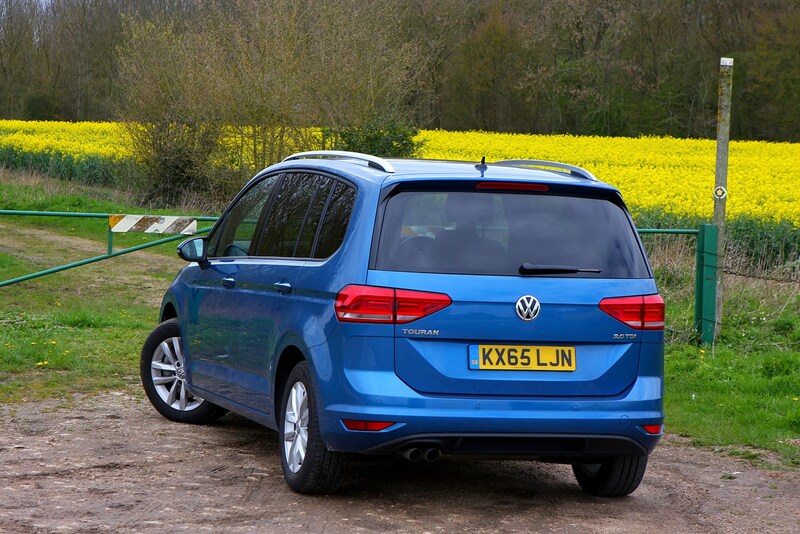 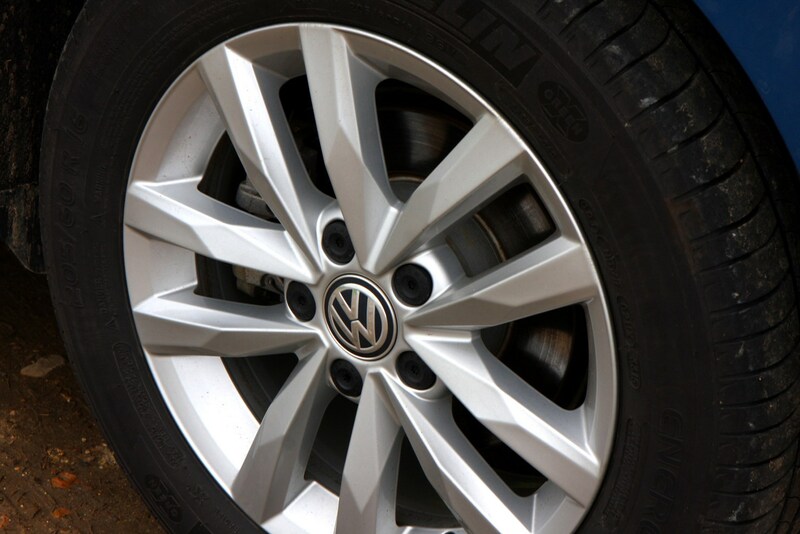 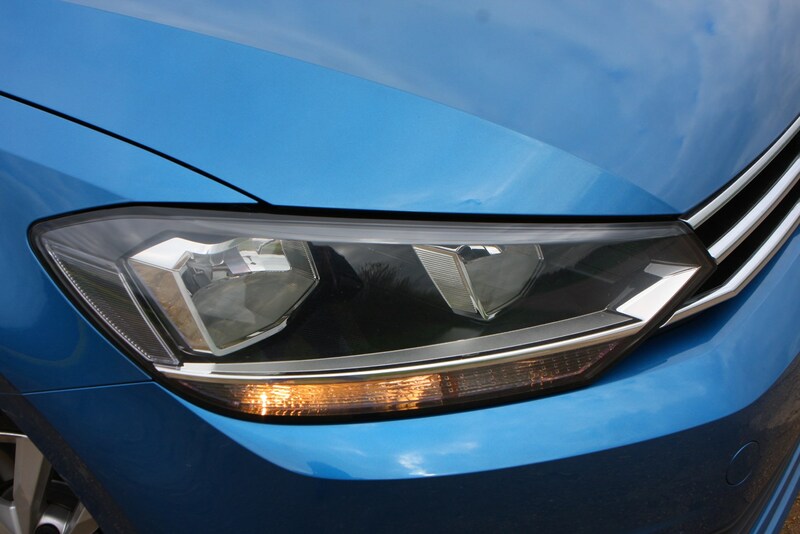 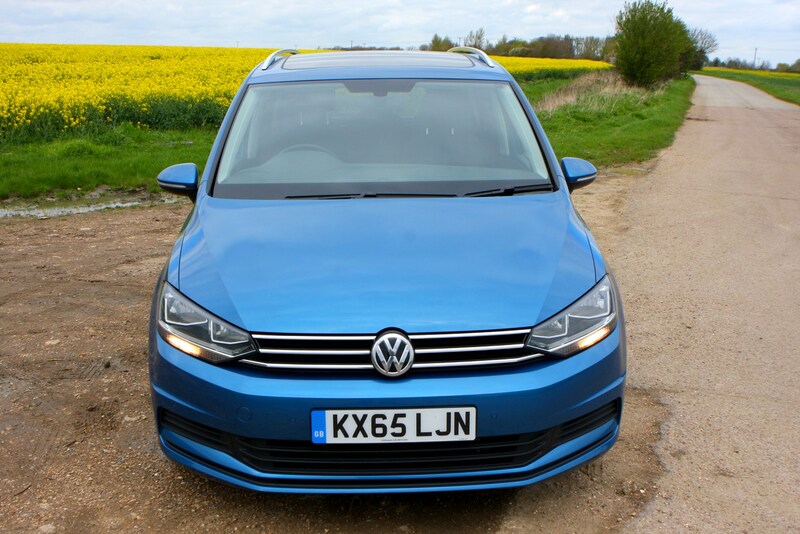 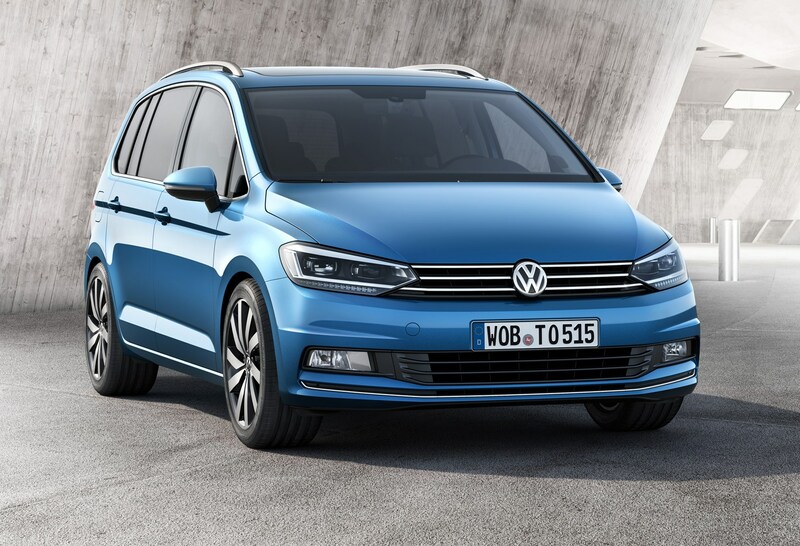 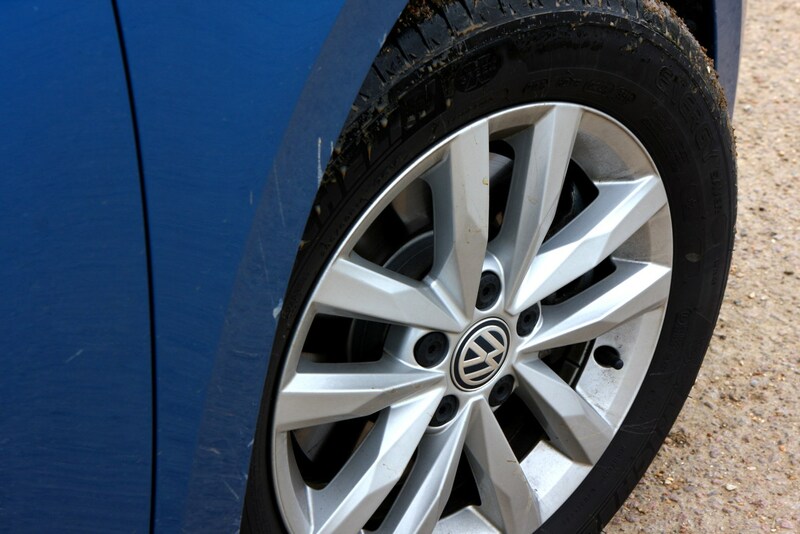 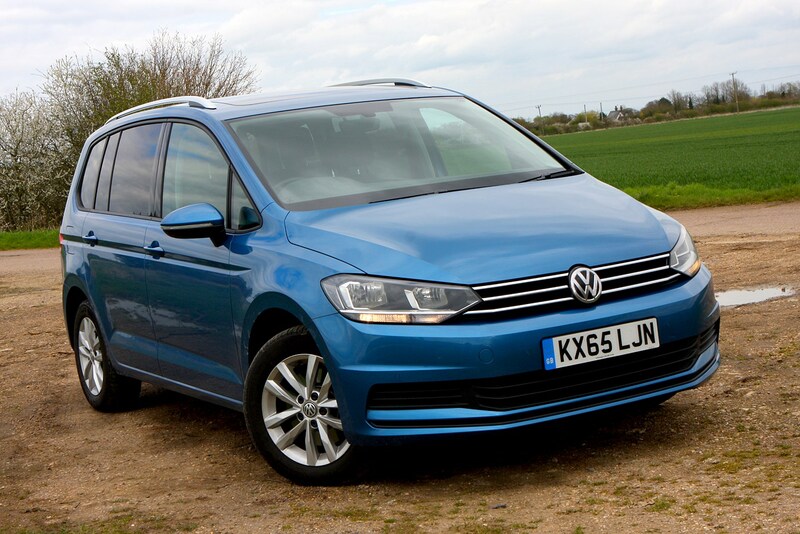 The Touran is one seriously practical car. 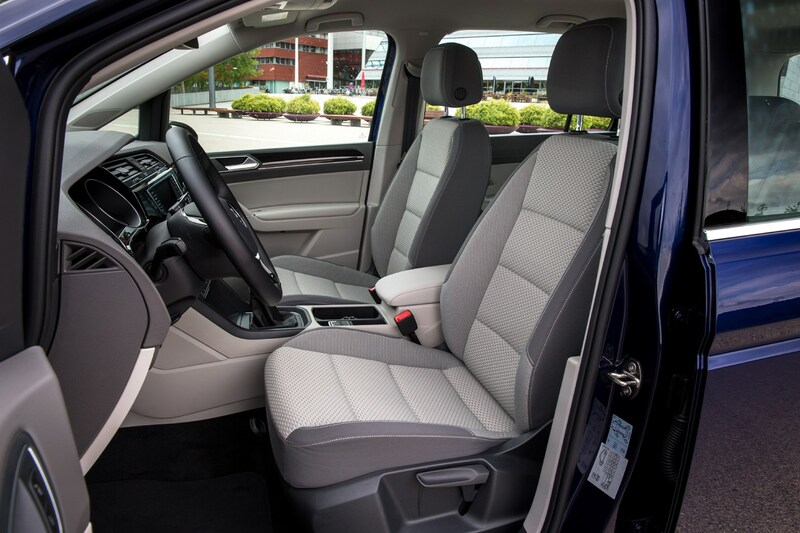 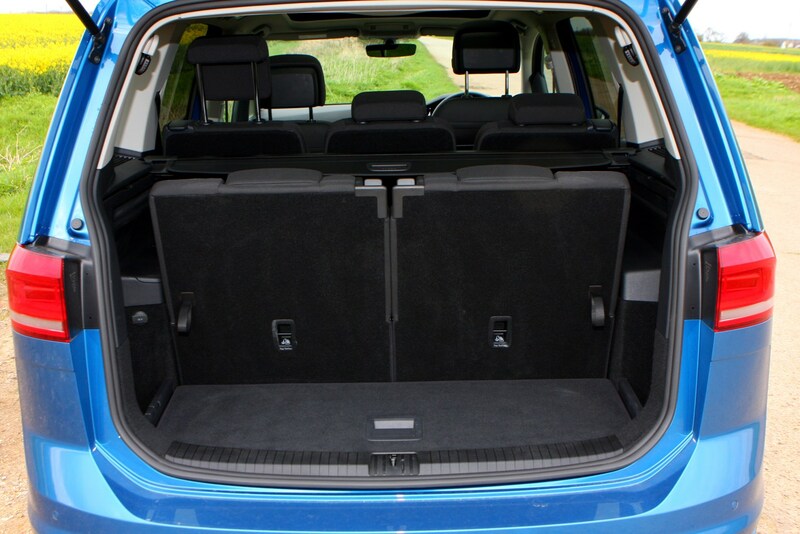 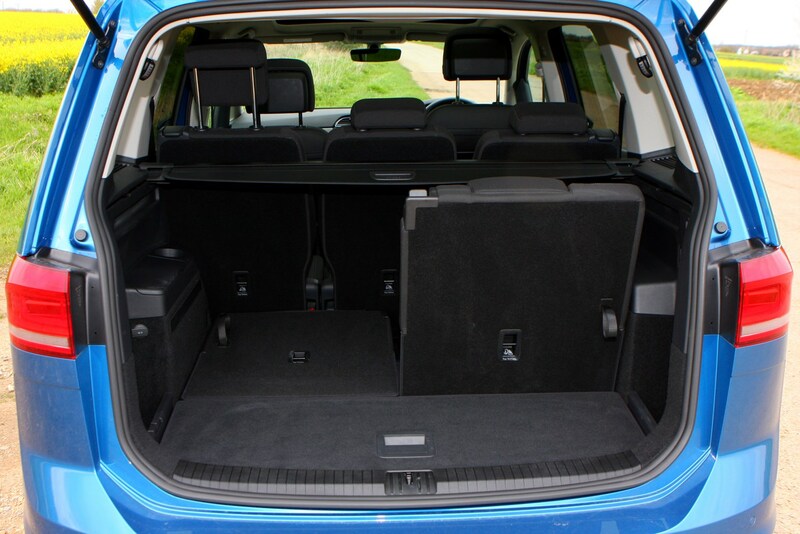 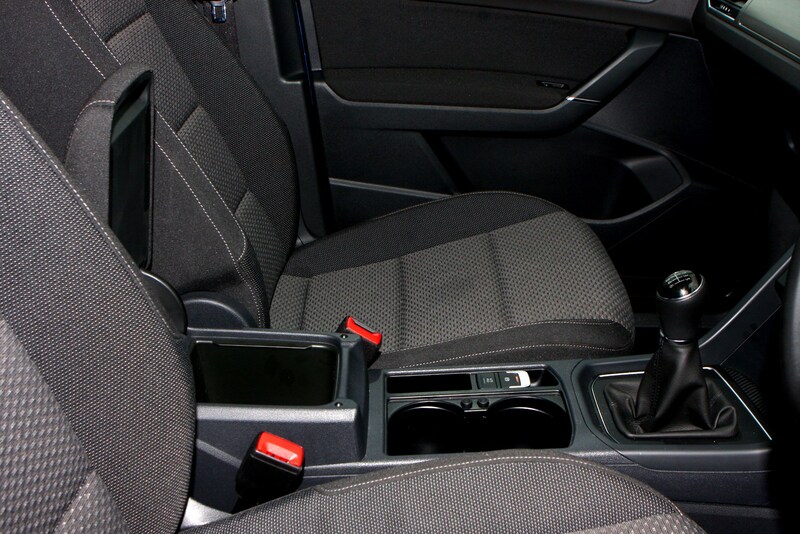 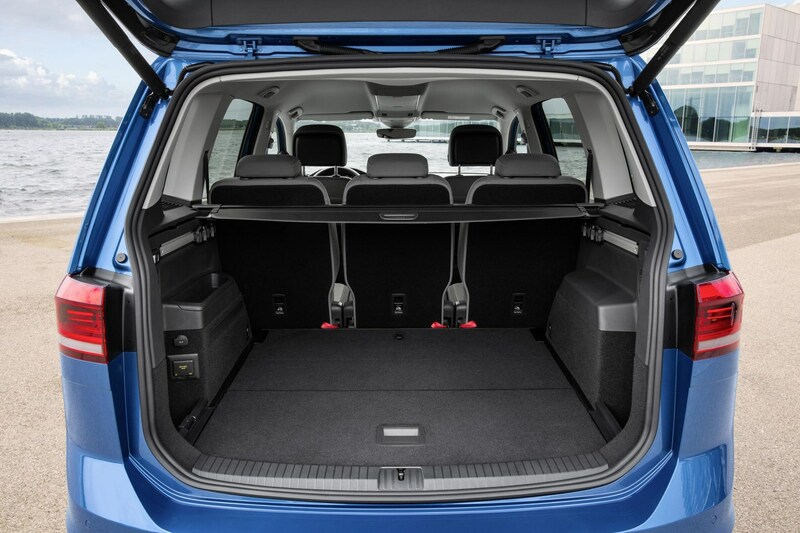 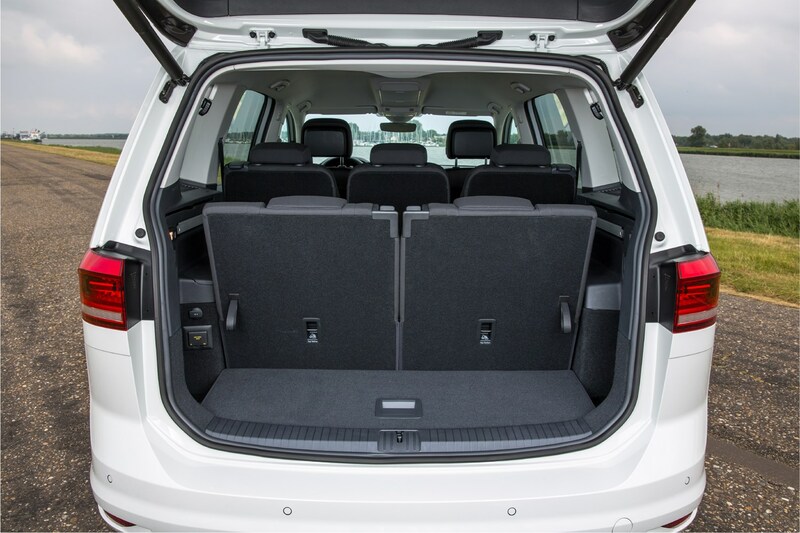 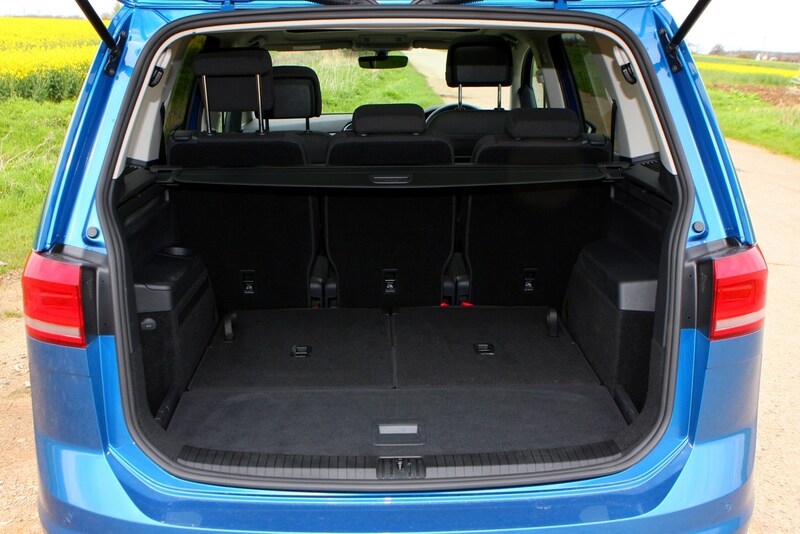 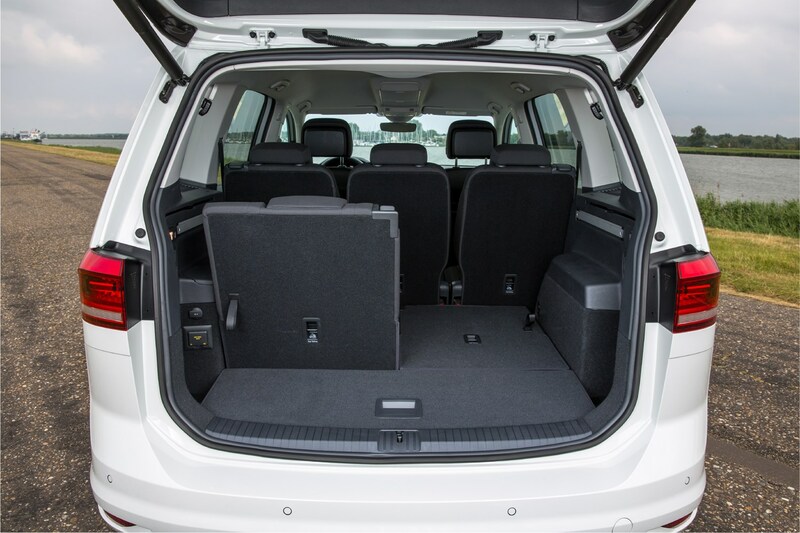 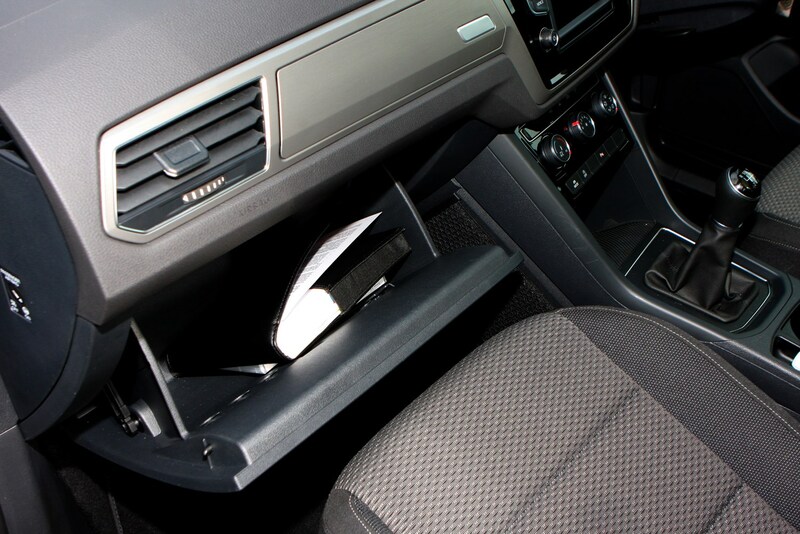 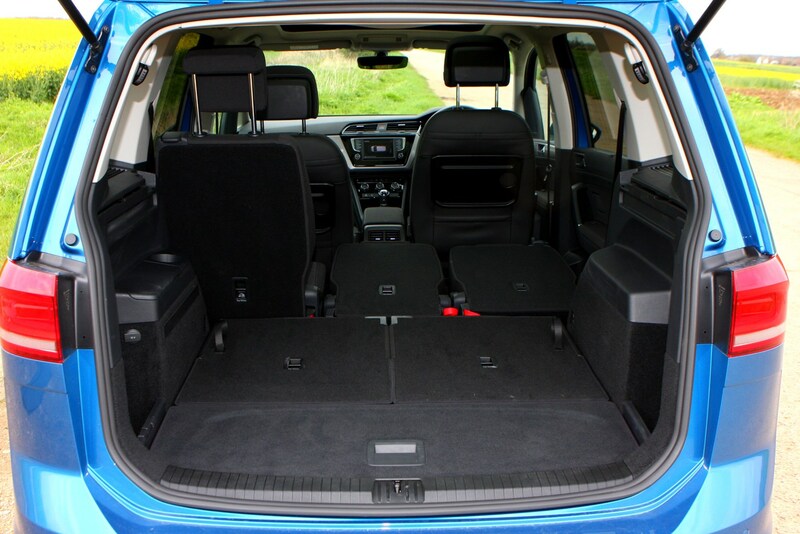 There are up to 47 storage compartments throughout the car, including large door bins, cupholders, folding tray tables and sliding drawers under the front seats. 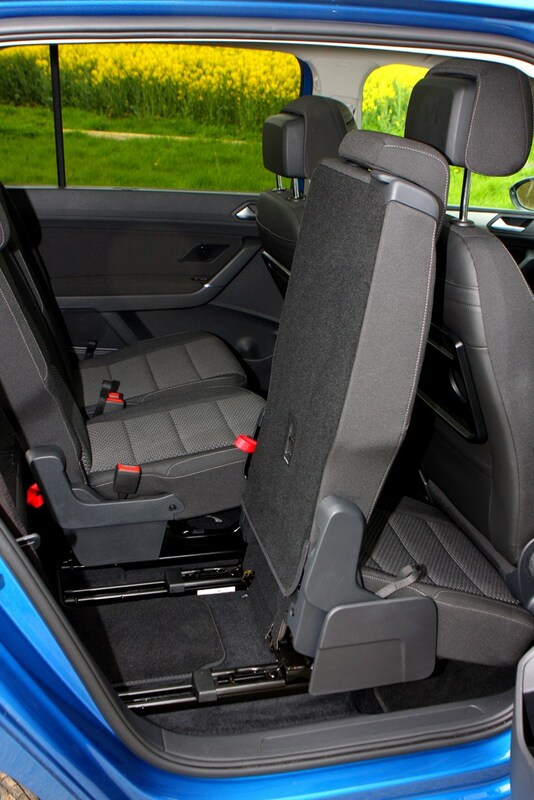 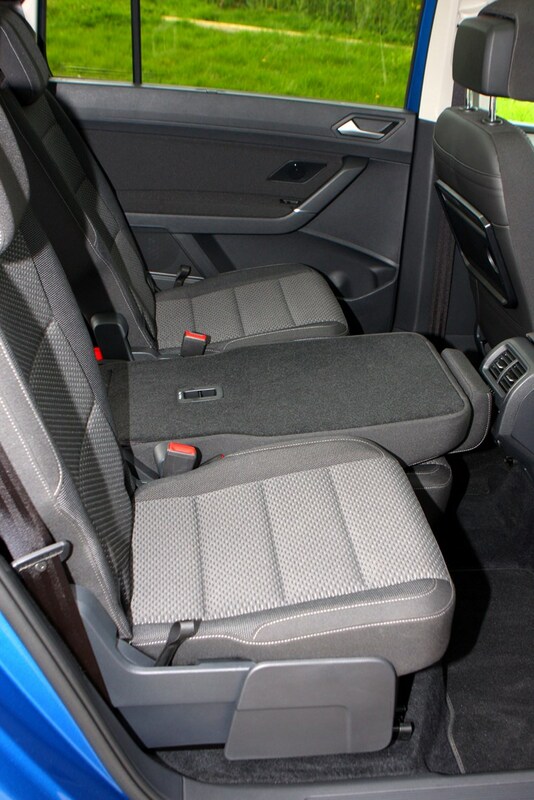 You can also fit three Isofix child seats next to each other in the second row, and there are mounts for two in the back seats. 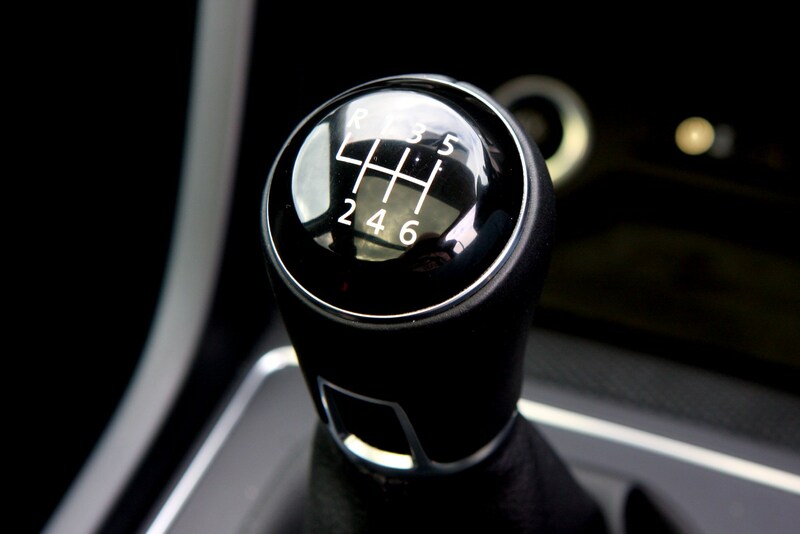 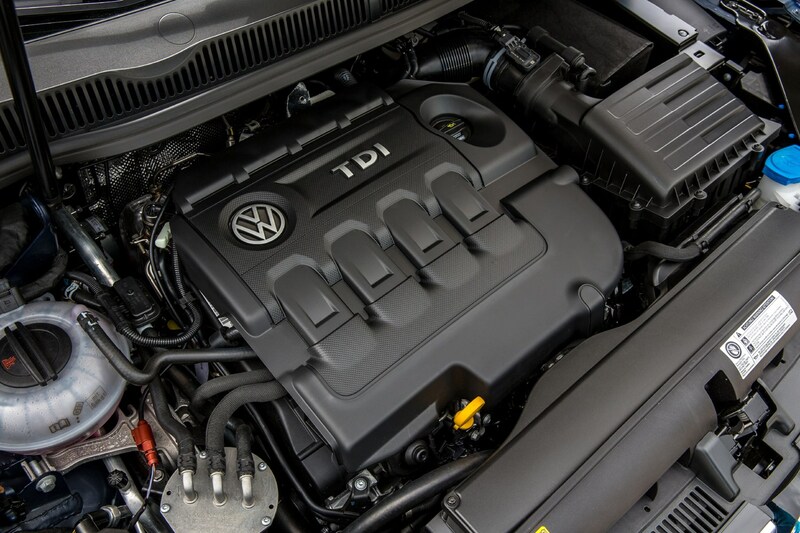 There are five engines available to choose from, all of which with have four cylinders, turbocharging, and stop/start technology. 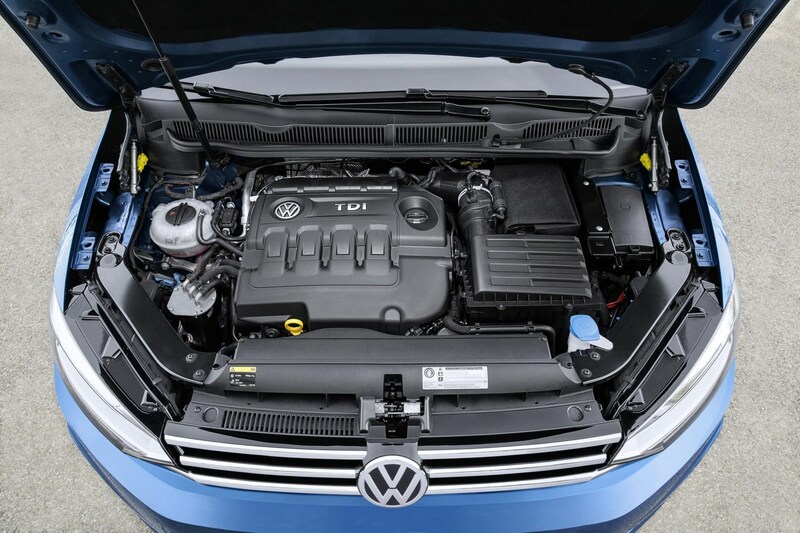 The petrol units are 1.2- and 1.4-litres in size, while the diesel line-up features a 1.6-litre and two 2.0-litre powerplants. 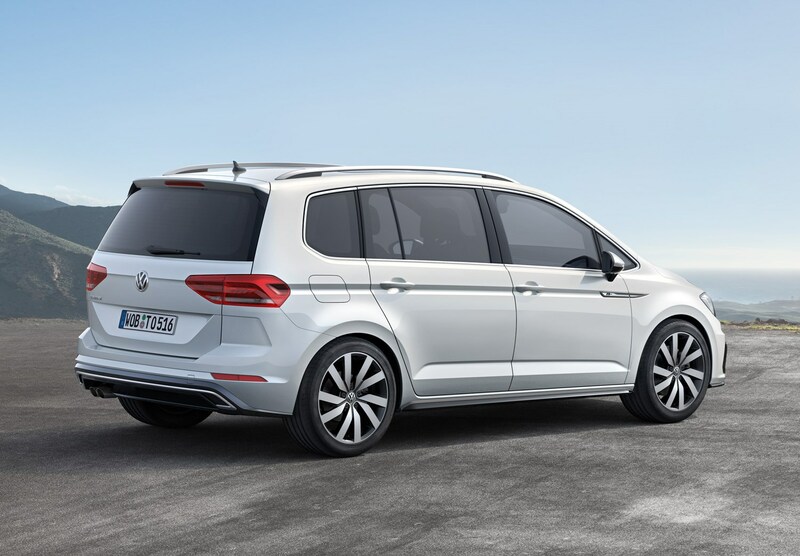 While this Touran is larger than its predecessor, it is also lighter by up to 67kg, which makes for better fuel consumption. 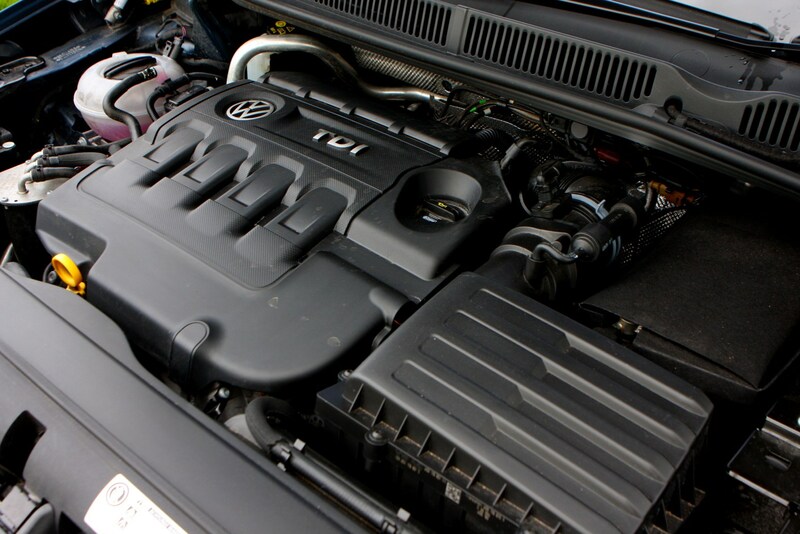 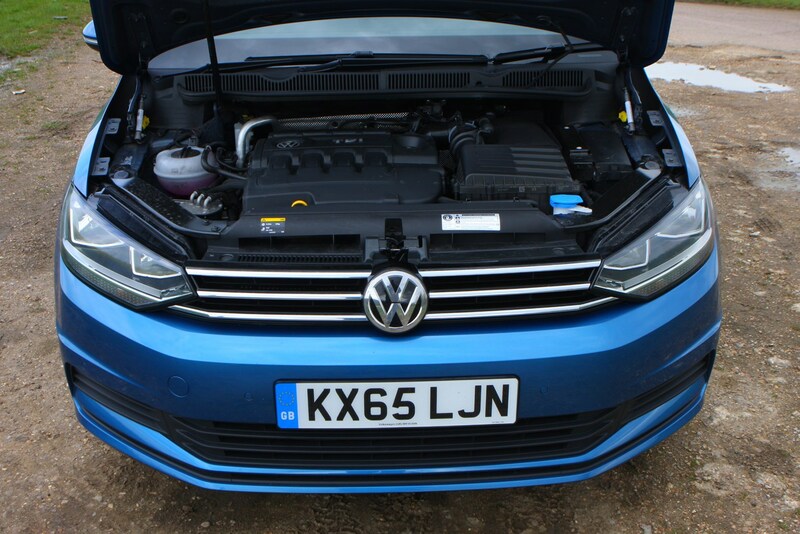 Fitted with BlueMotion fuel-saving technology, the 115hp, 1.6-litre diesel has a claimed economy of 65.7mpg, while the 150hp 1.4-litre petrol promises almost 50mpg. 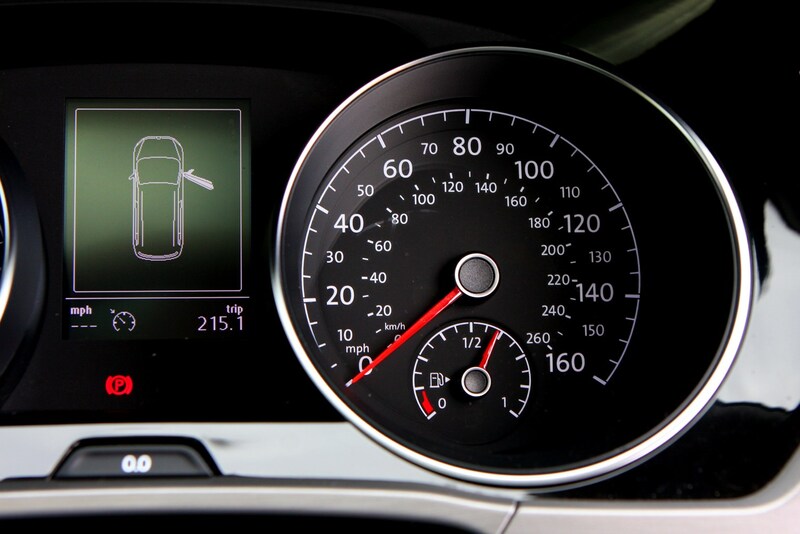 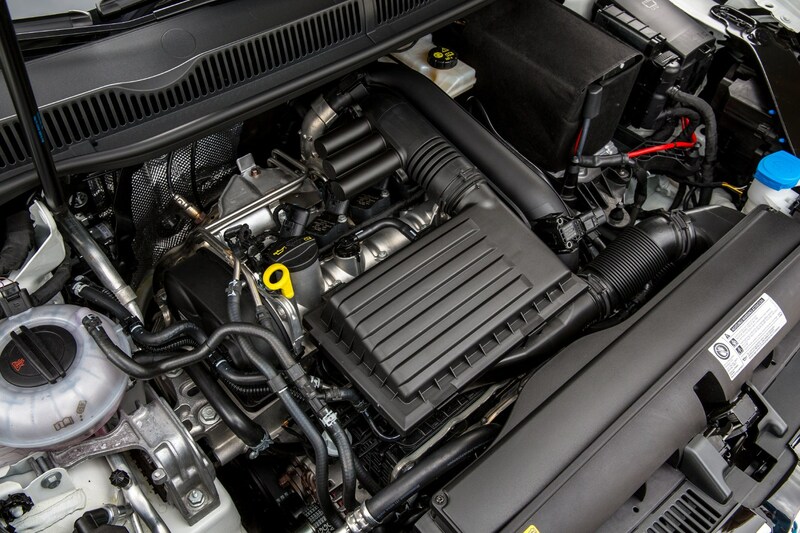 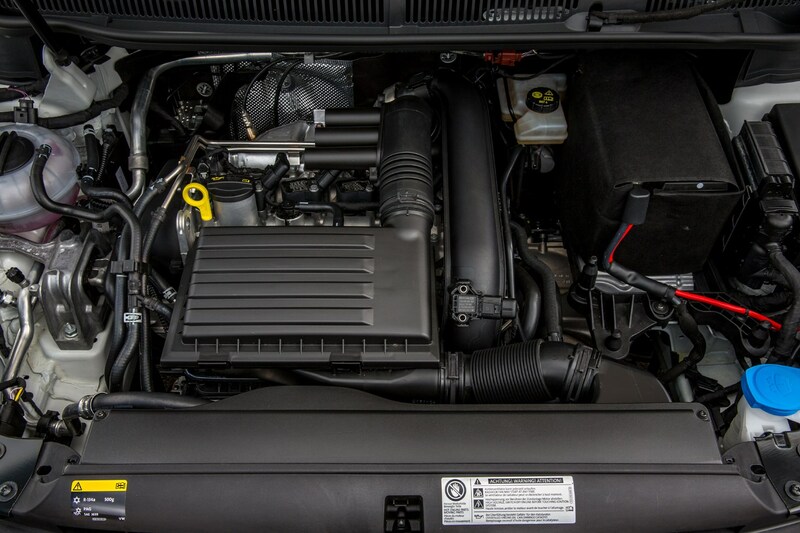 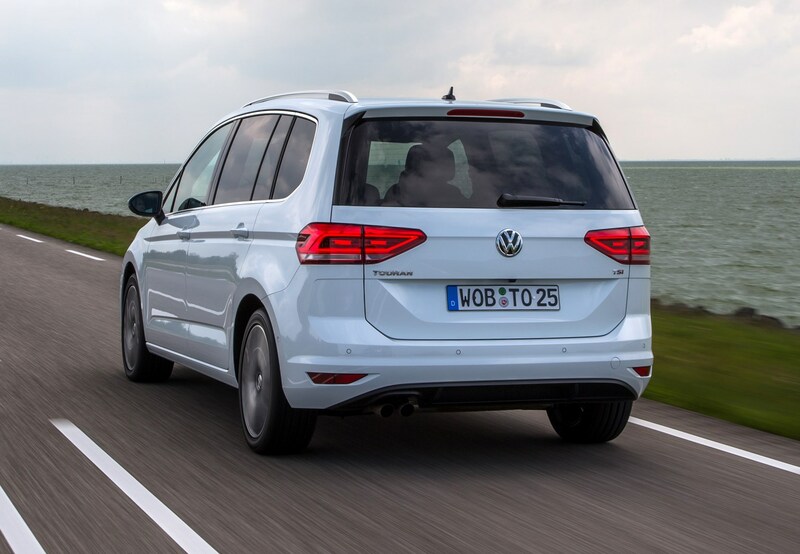 The 150hp 2.0-litre diesel comes with a six-speed manual or the option of a six-speed auto DSG gearbox, while the higher-powered 190hp diesel comes with the auto gearbox as standard and is only available in top-of-the-range SEL trim. 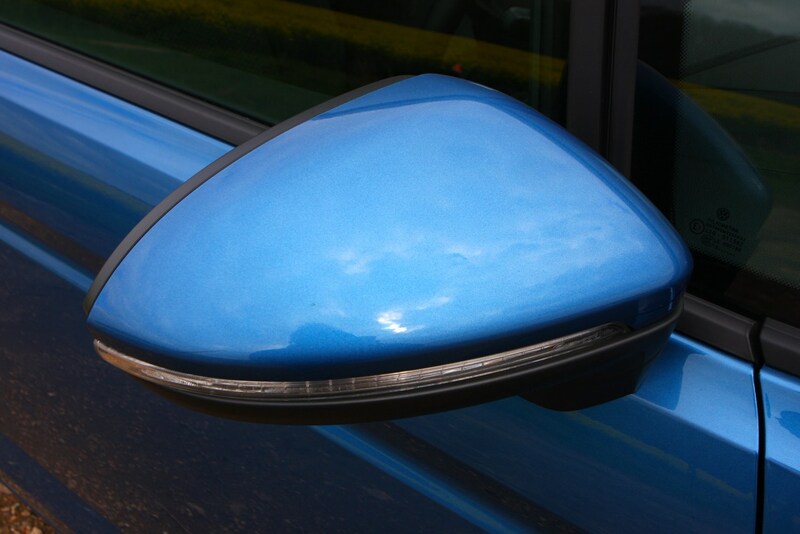 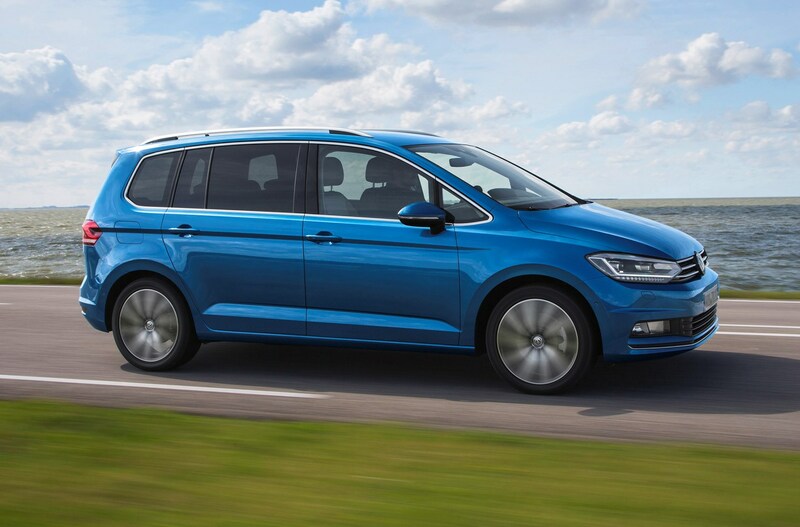 You were initially able to buy the Volkswagen Touran in four trims; S, SE, SE Family and SEL, with R-Line added in 2016. 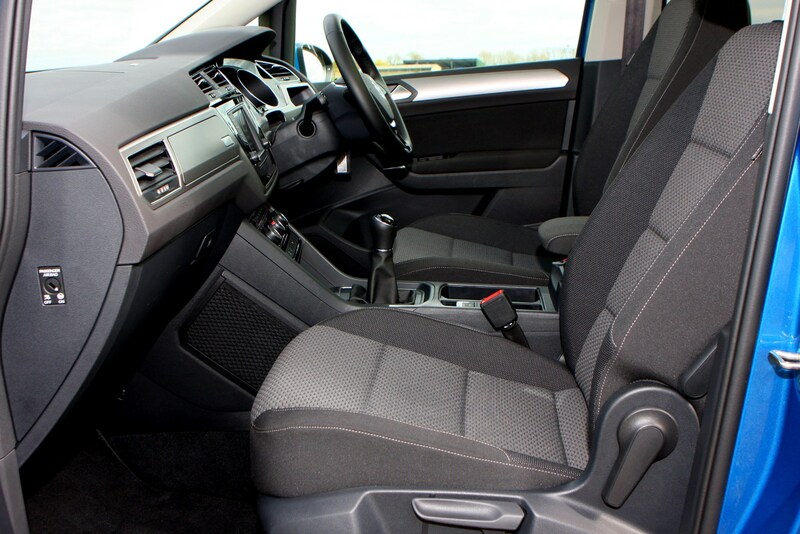 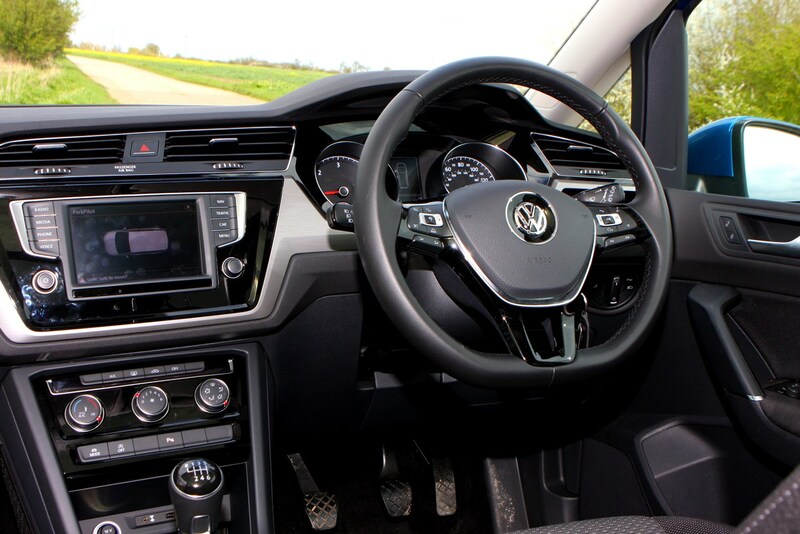 Even as standard it comes with plenty of practical features and modern day tech including DAB radio, Bluetooth and air-con. 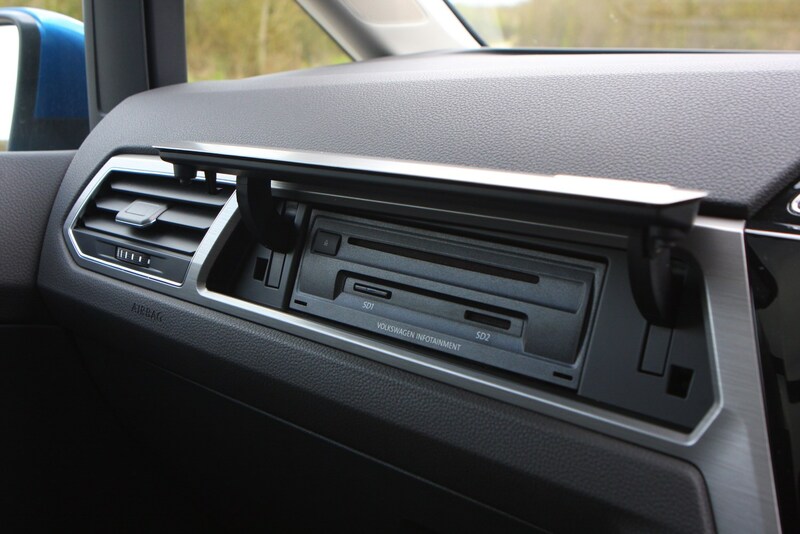 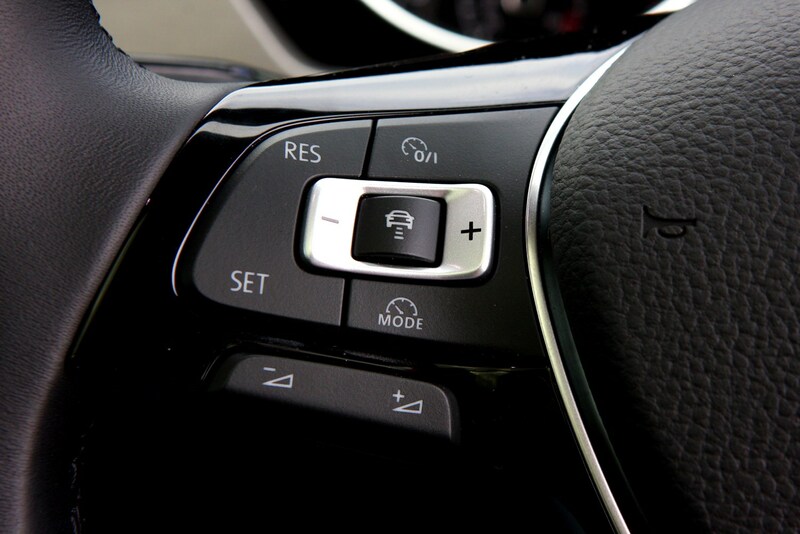 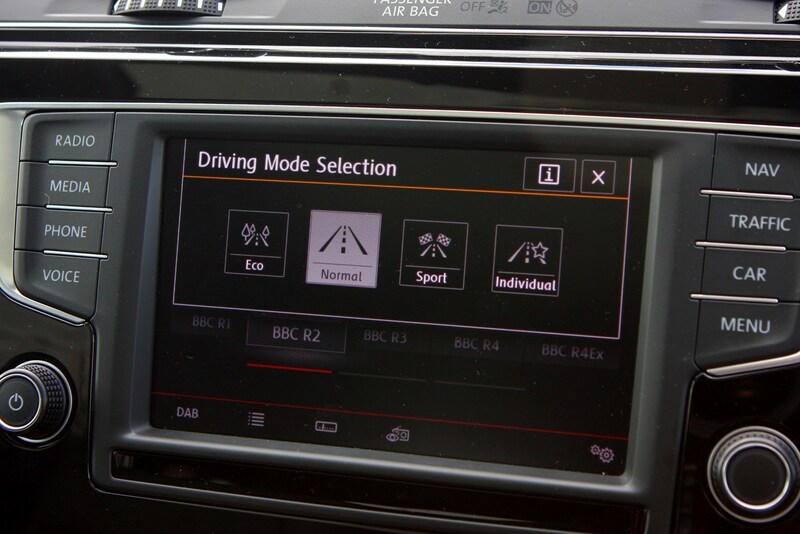 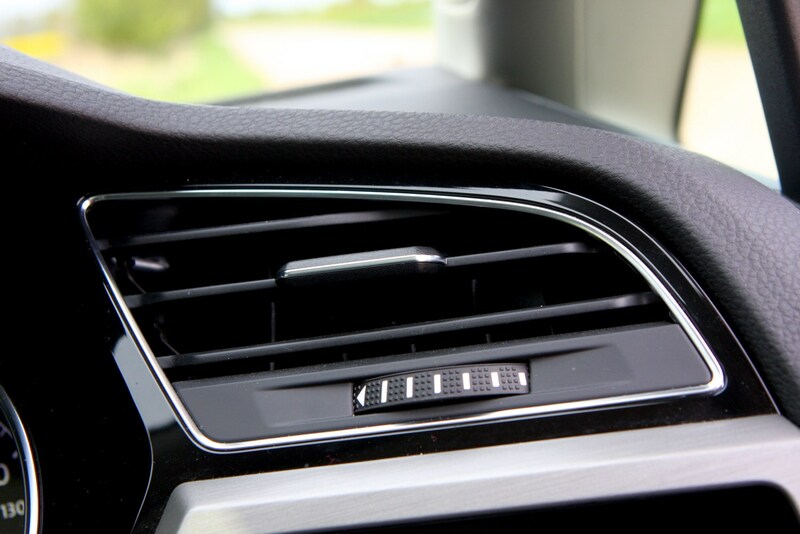 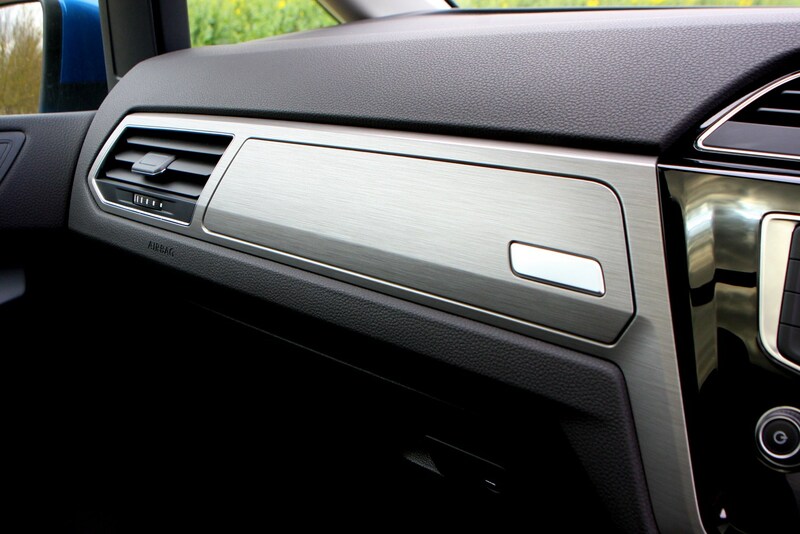 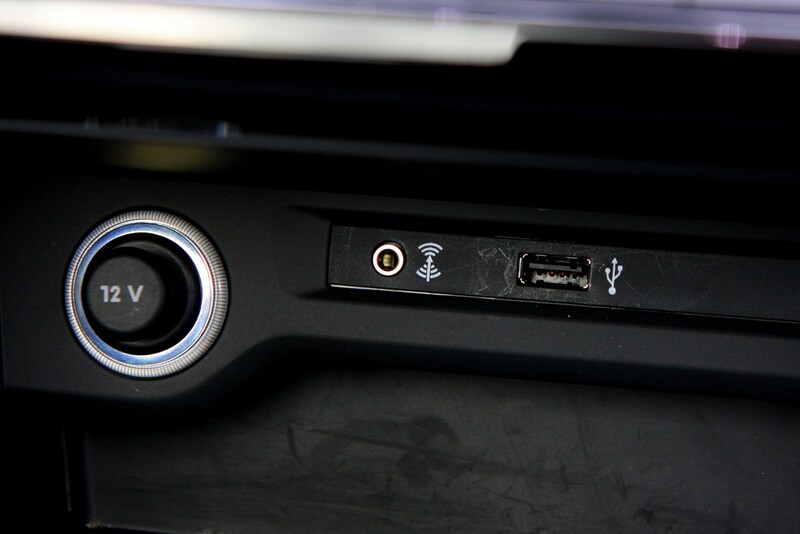 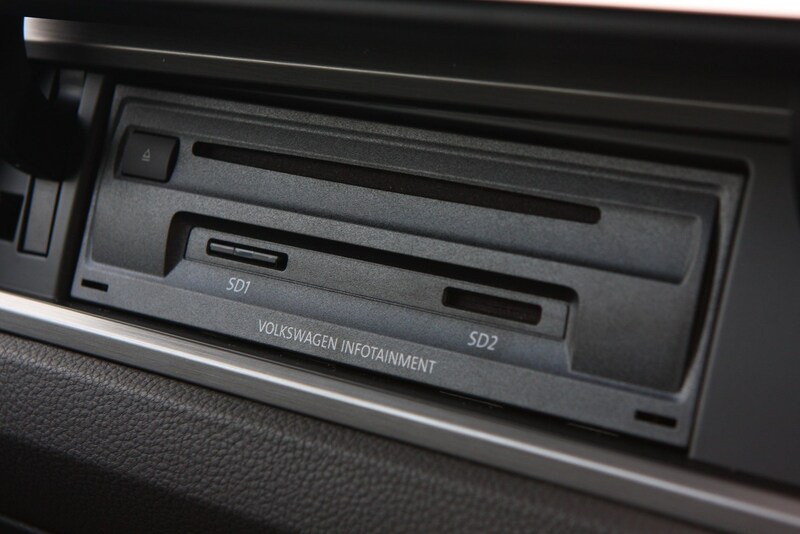 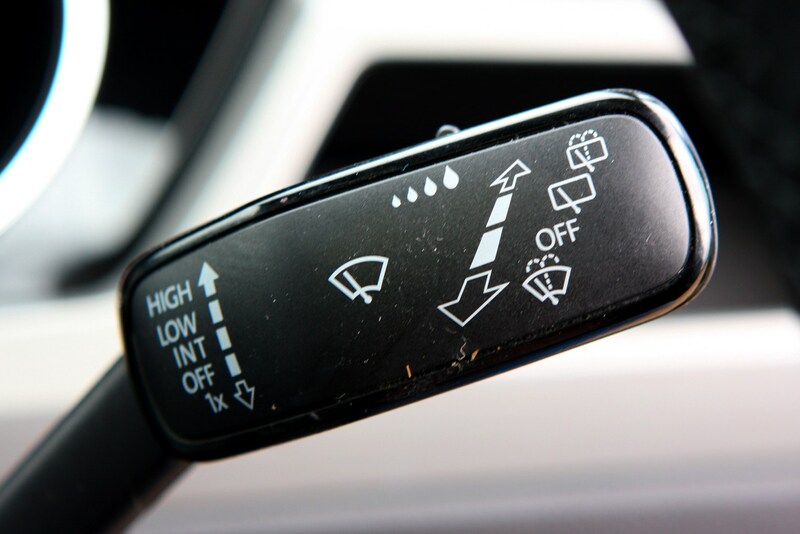 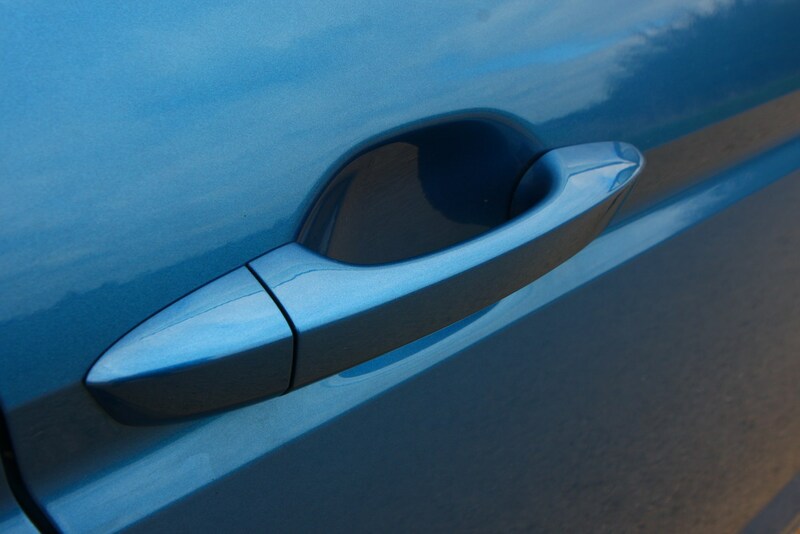 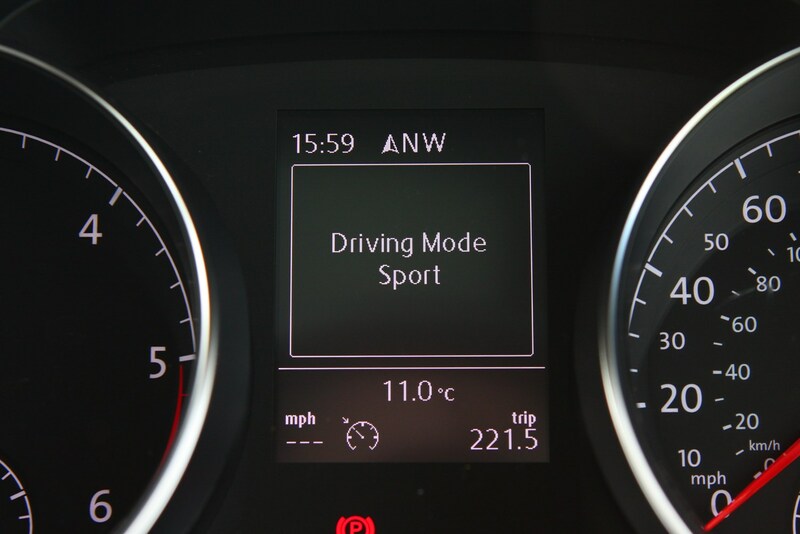 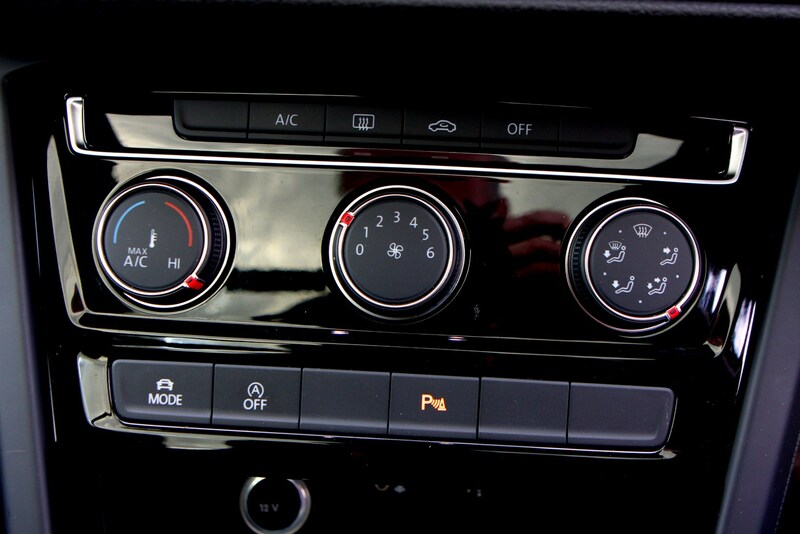 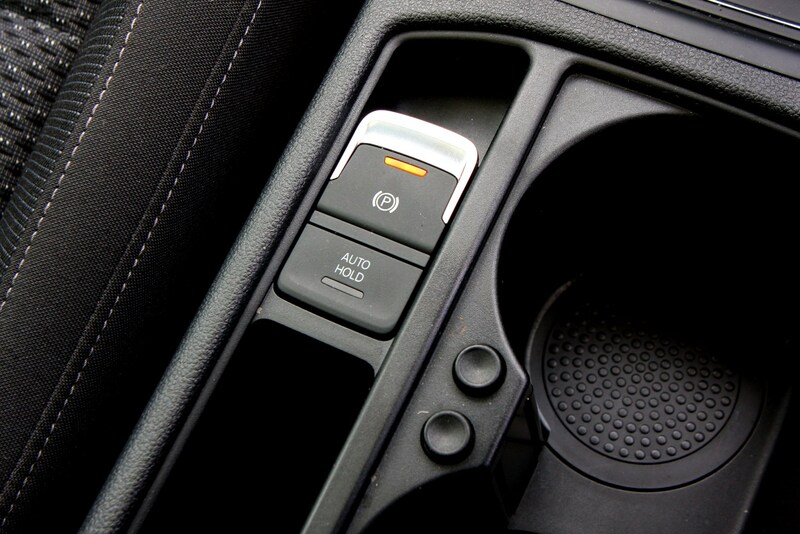 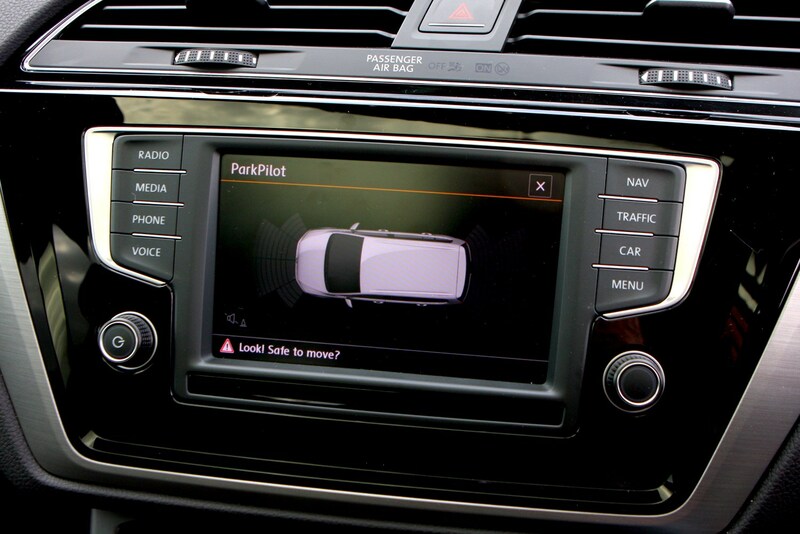 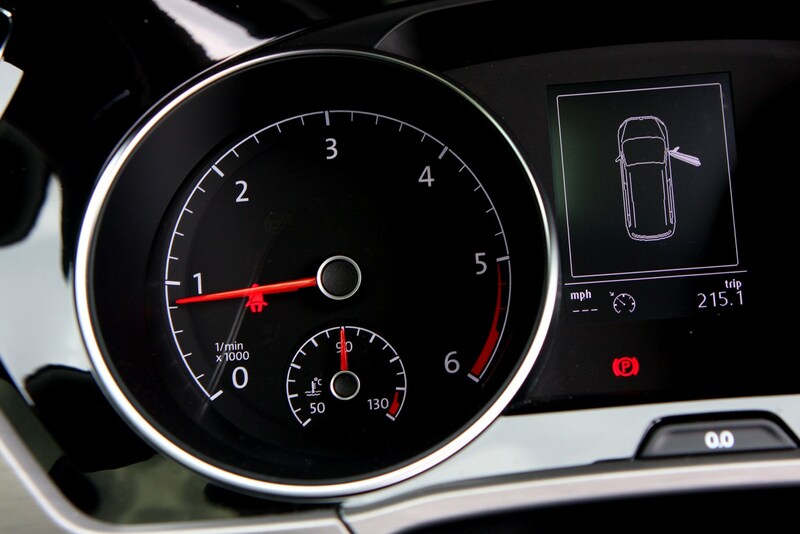 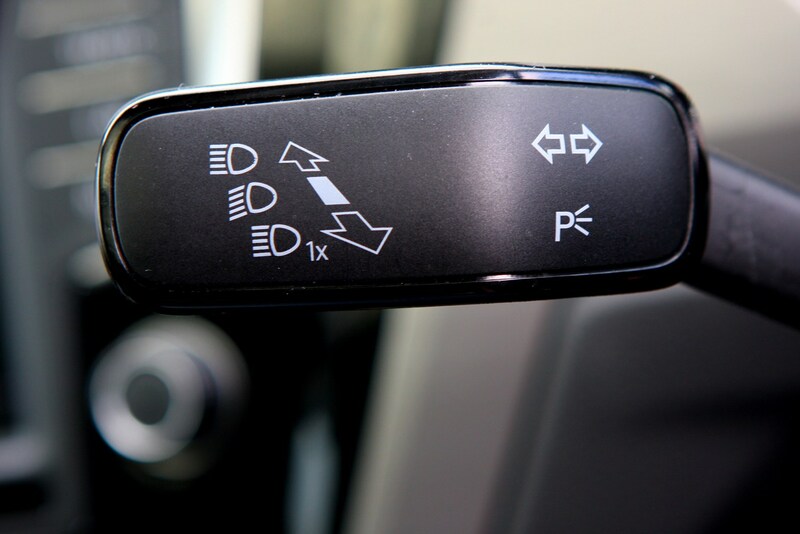 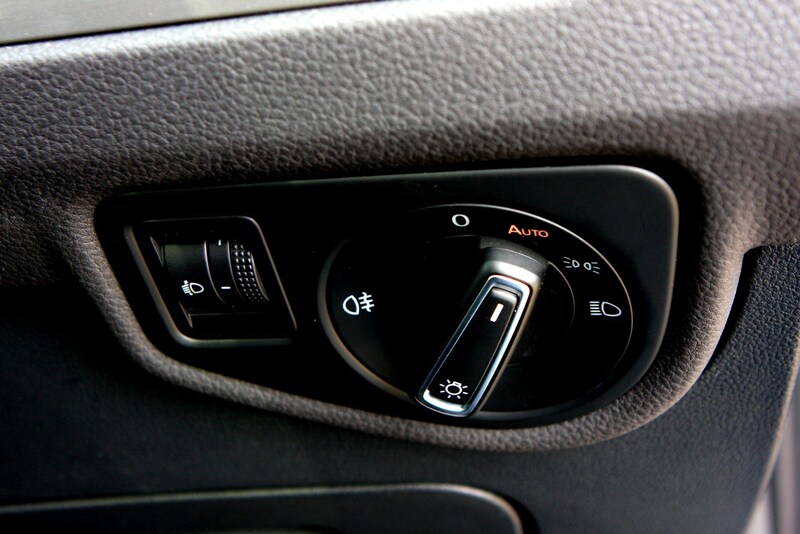 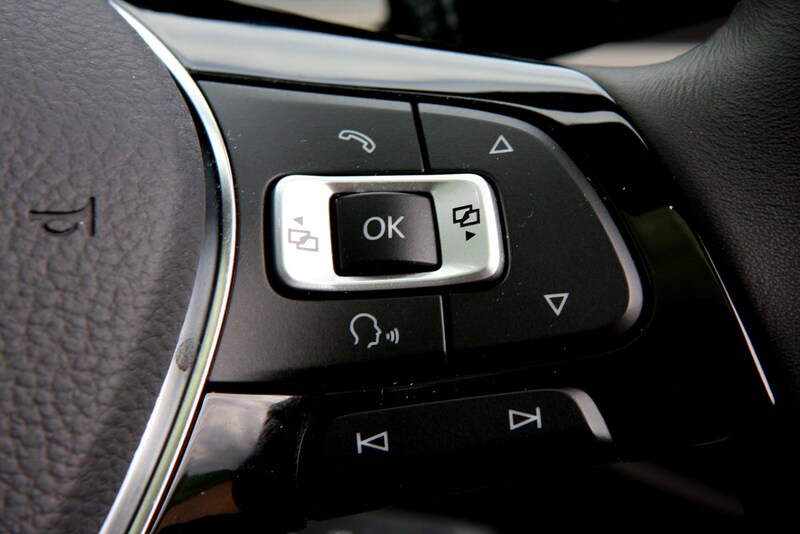 Moving up trim levels gained access to other luxuries like parking sensors, a panoramic sunroof, sat-nav and App Connect - which includes smartphone integration into the car via Apple CarPlay, MirrorLink or Android Auto. 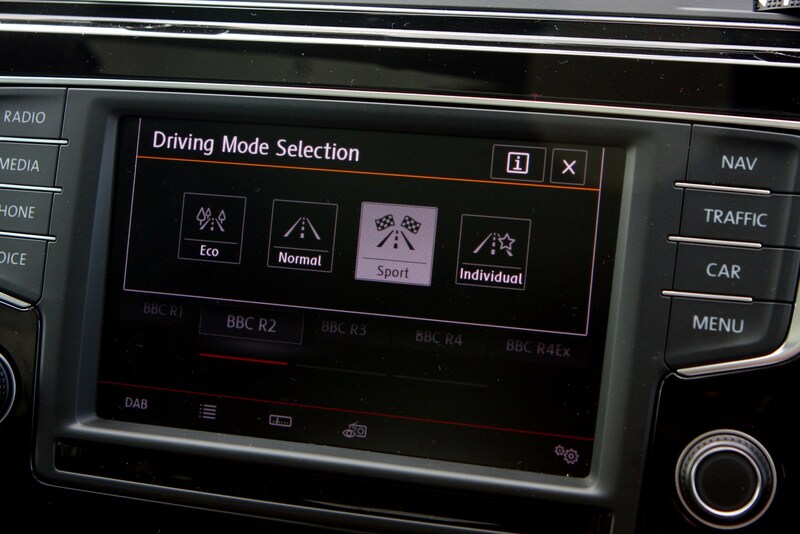 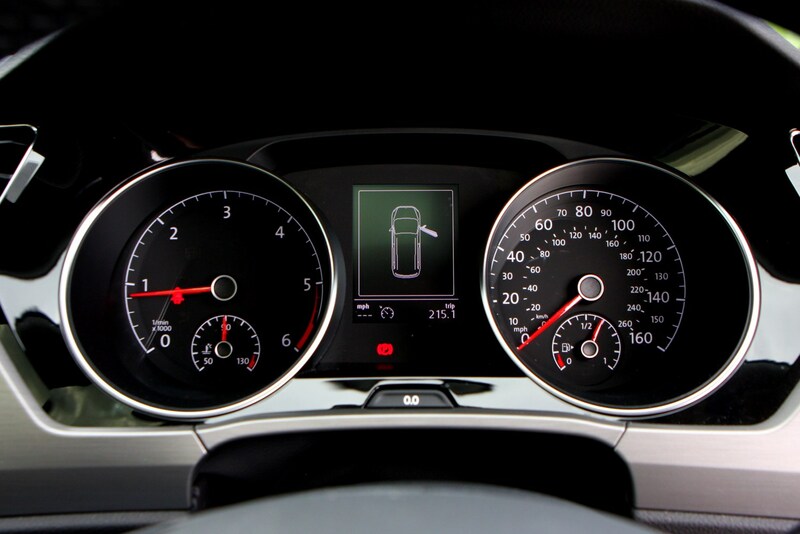 There’s a raft of driver assistance and safety features included as standard or optionally at extra cost, such as adaptive cruise control, Front Assist with City Emergency Braking (provides automatic braking in slow moving traffic when it detects stationary cars and the driver takes no action), Traffic Jam Assist and Side Assist with Rear Traffic Alert. 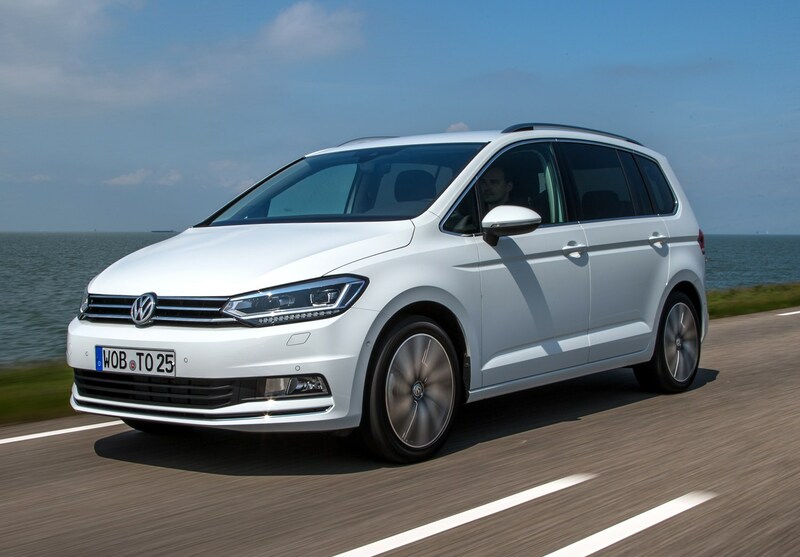 R-Line trim adds a bodykit and 18-inch alloy wheels over other models. 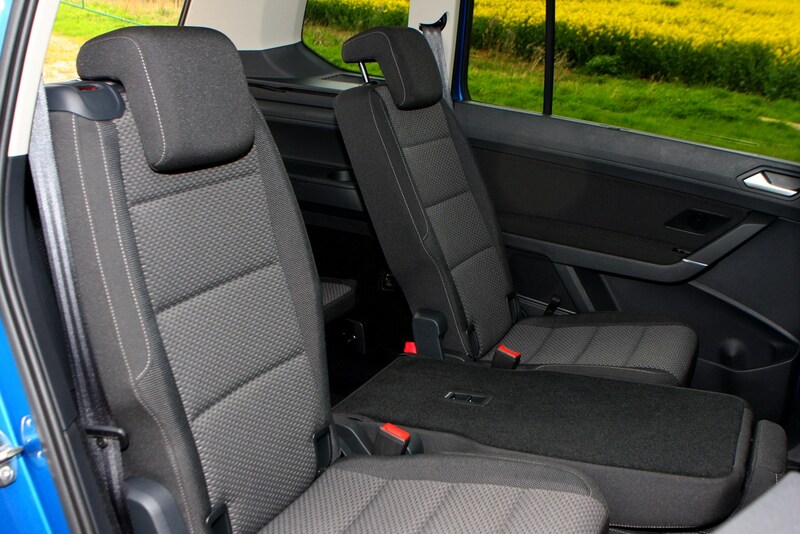 Inside there’s special R-Line branded sports seats, a black roof lining and a leather-trimmed multifunction steering wheel. 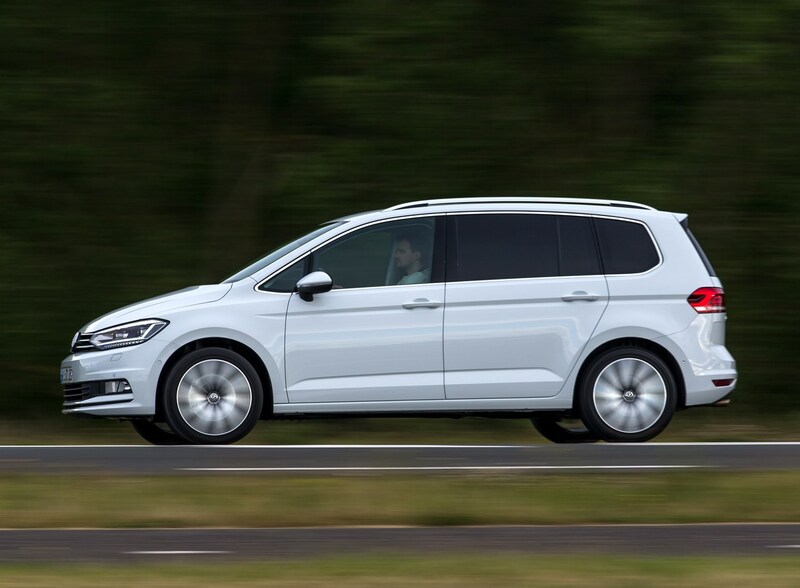 R-Line is available with either 1.4-litre 150hp petrol or 2.0-litre 150hp or 190hp diesels, and manual or automatic gearboxes. 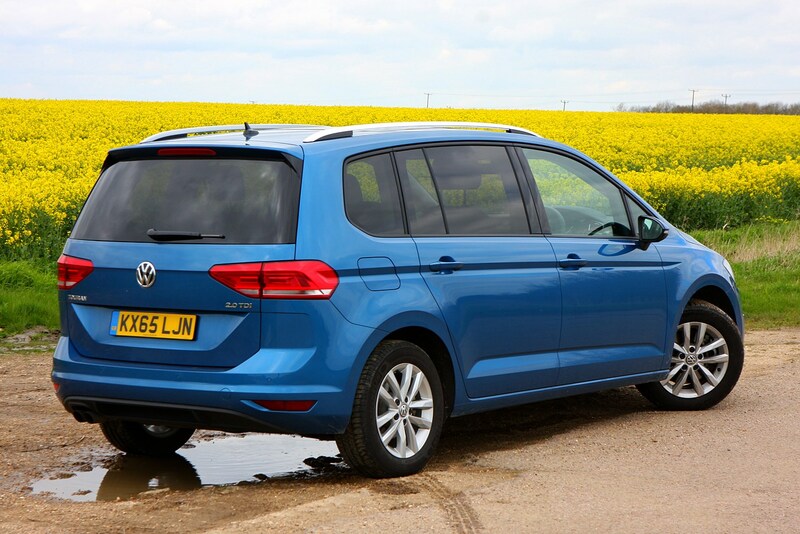 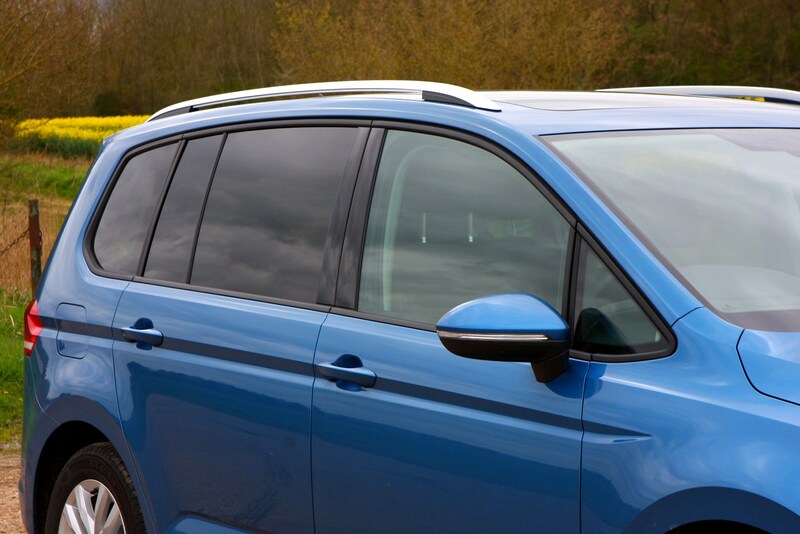 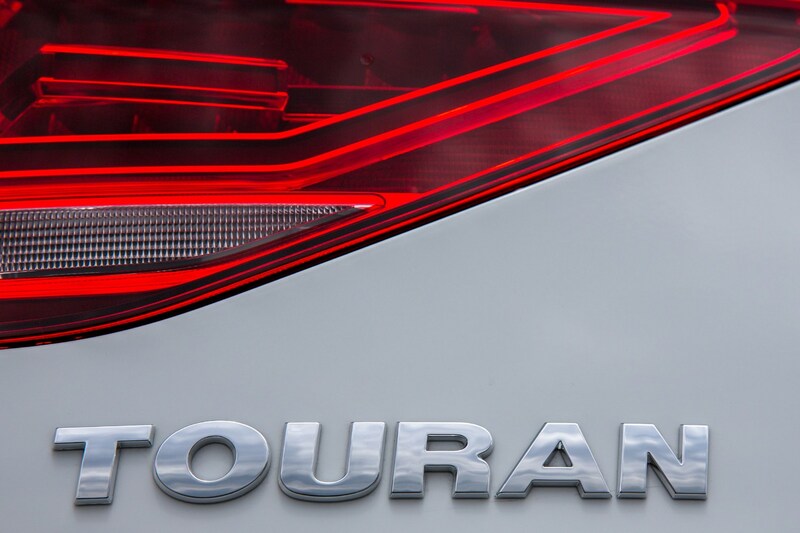 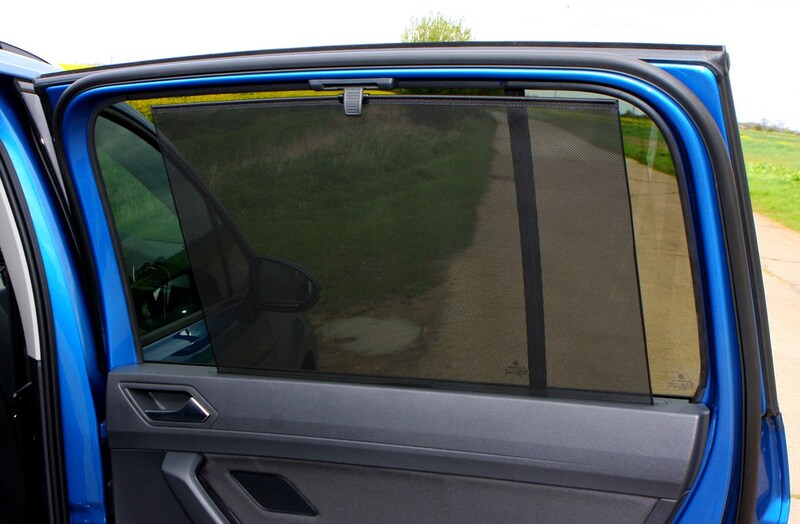 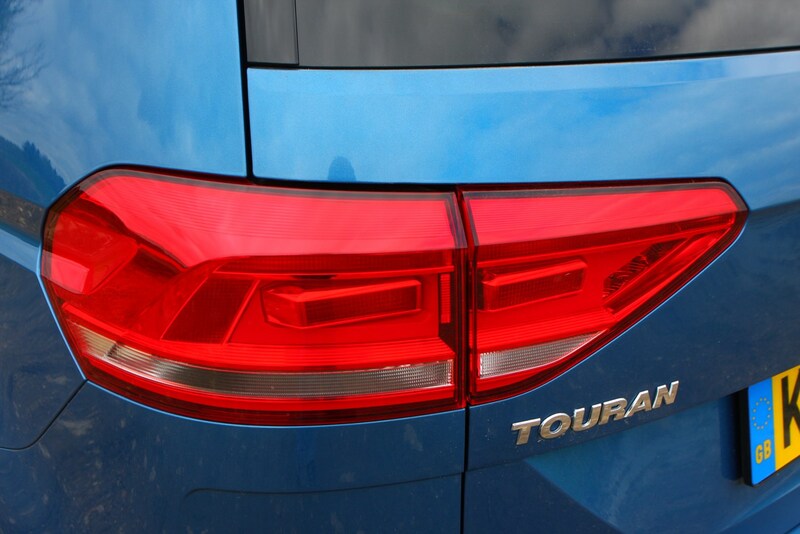 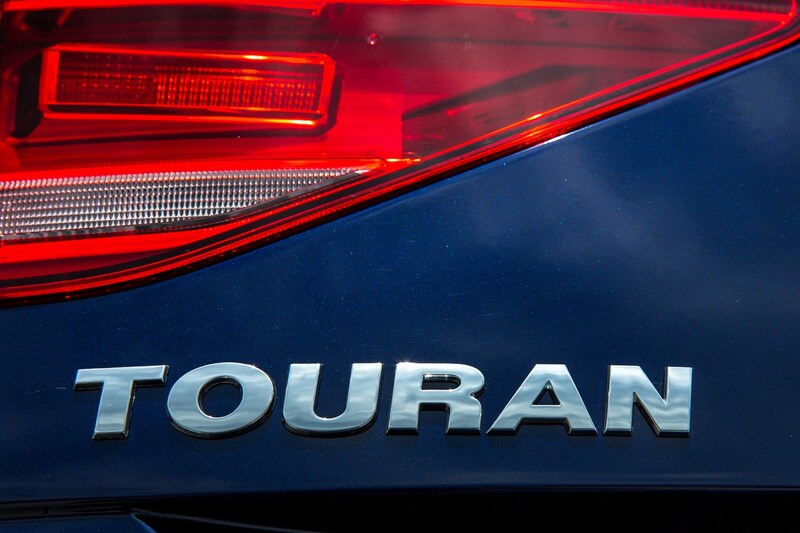 If you’re thinking of towing a caravan or trailer, the Touran can tow up to 2,000kg and also available as an option is the Trailer Assist system which helps make manoeuvring into parking spaces much easier. 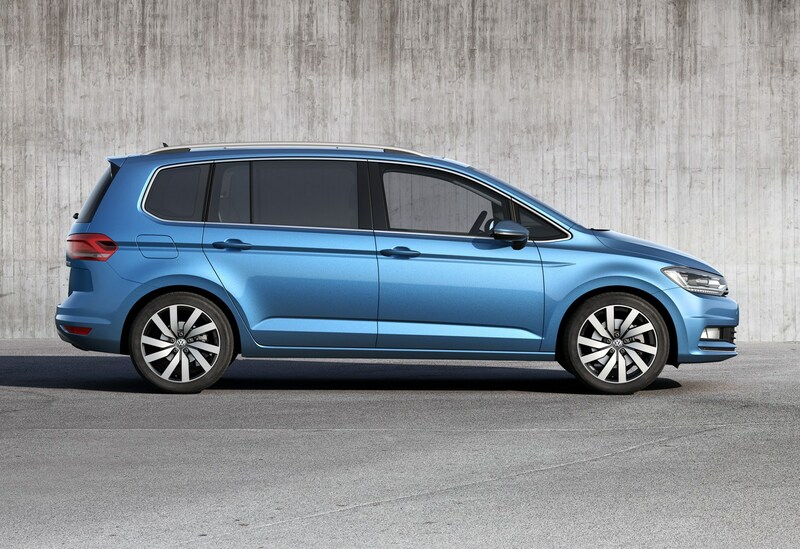 The VW Touran is an impressive package in a world where fewer people than ever want to buy one. 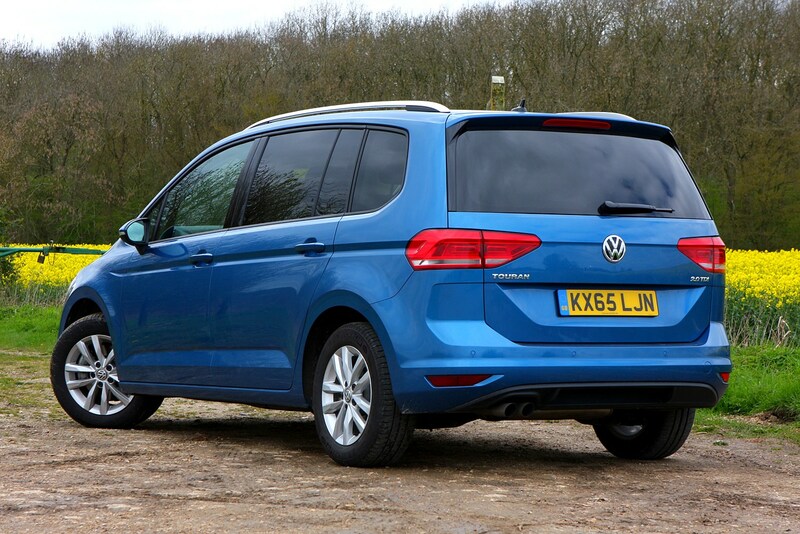 As the appeal of SUVs and 4x4s grows, so the market for the humble people-carrier has dropped accordingly. 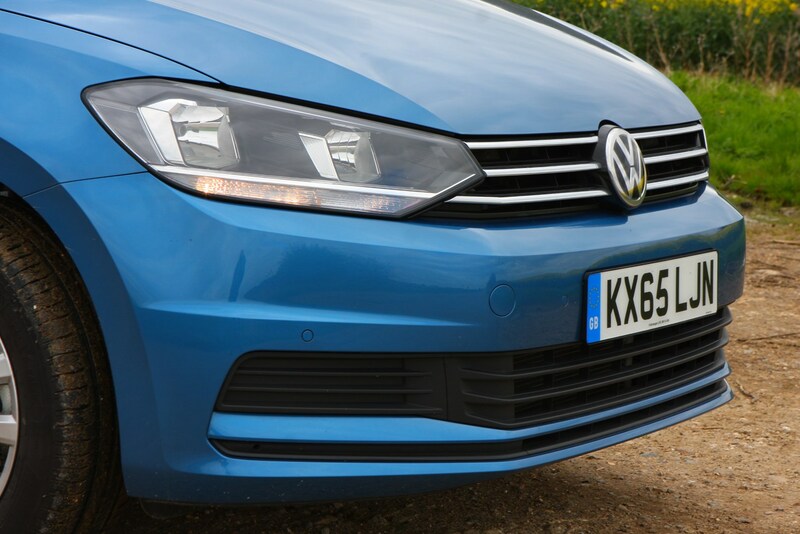 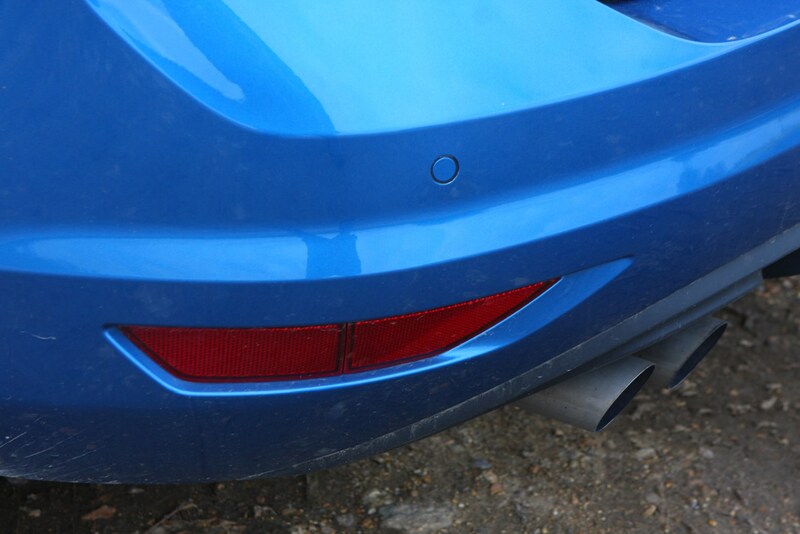 We think that’s a shame, because it comes out on top when compared to many of today’s more popular models.